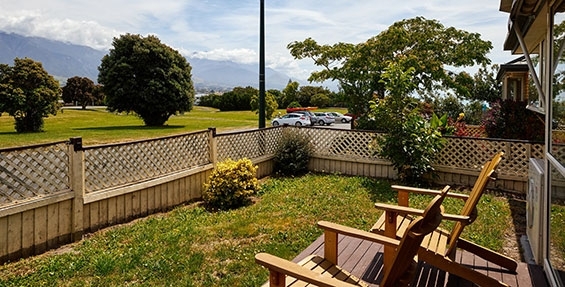 Looking for a holiday home in Kaikoura? 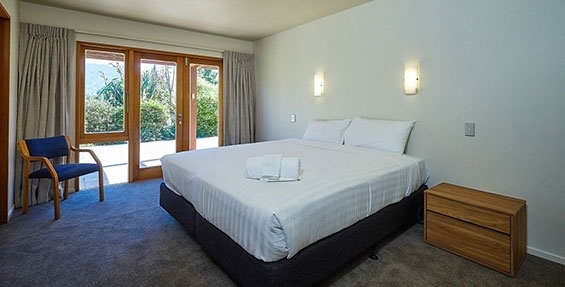 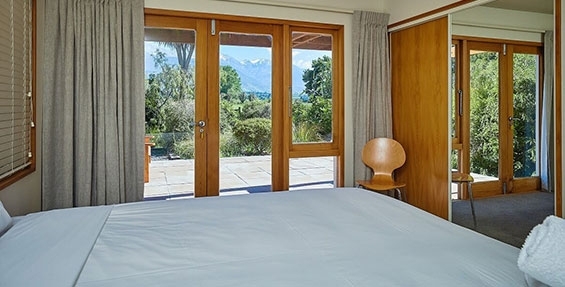 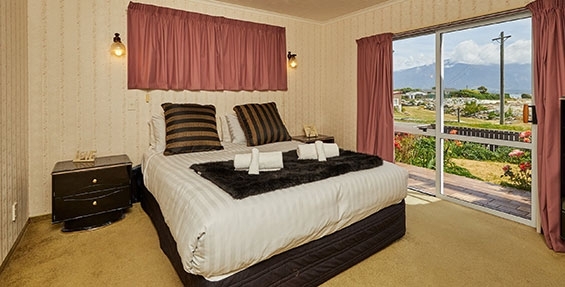 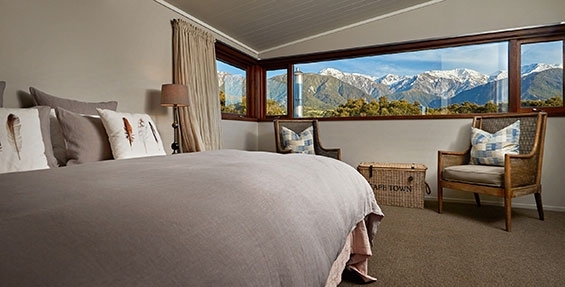 Treat yourself to a home-away-from-home experience in the beautiful region of Kaikoura. 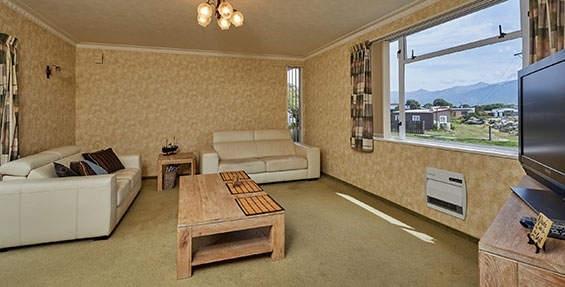 We offer a selection of properties to suit. 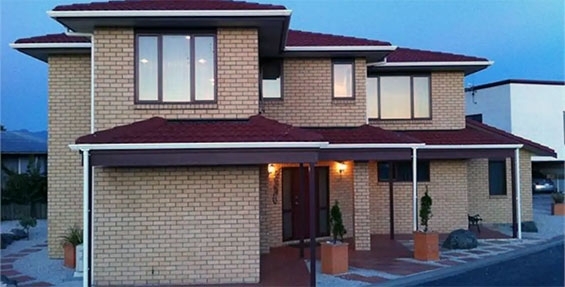 To view each house please click the View House button next to the house you're interested in. 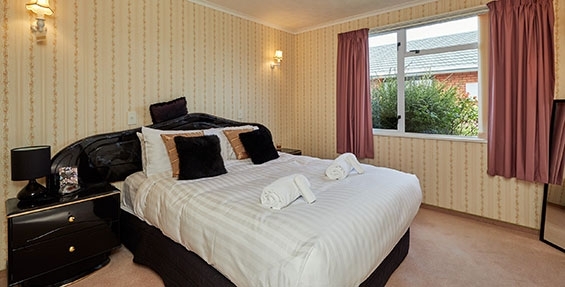 This will then take you to our booking page allowing you to check dates and prices and make a booking. 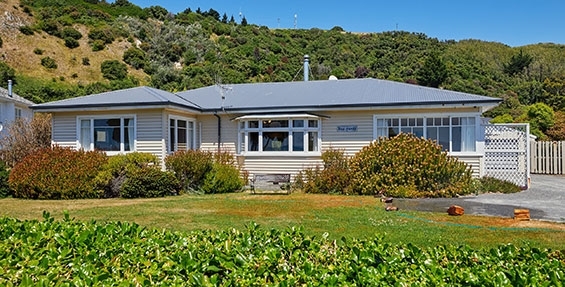 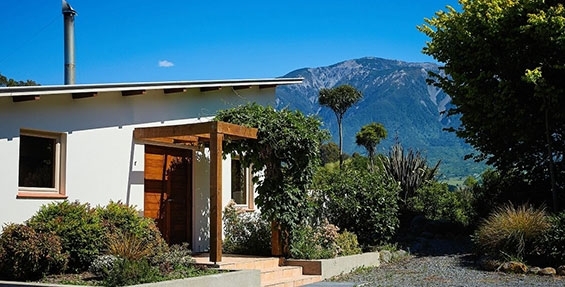 Albatross House with stunning views of mountains and ocean located a few minutes walk to Kaikoura town but in a peaceful location. 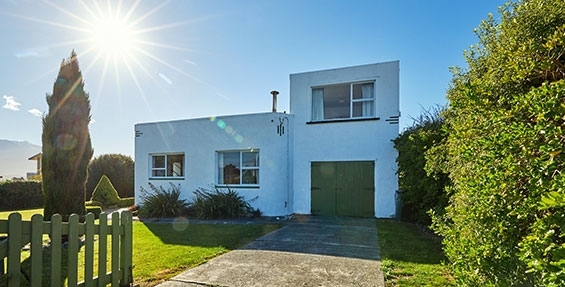 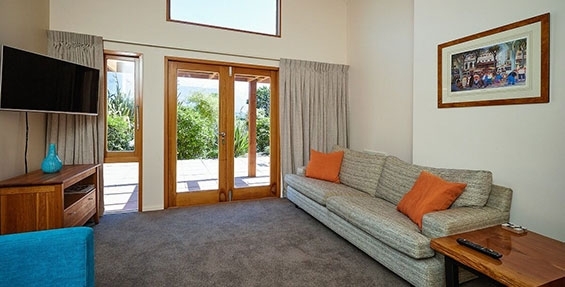 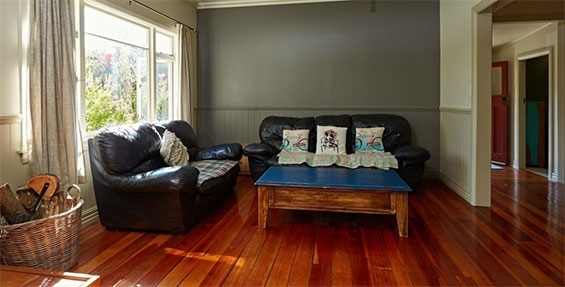 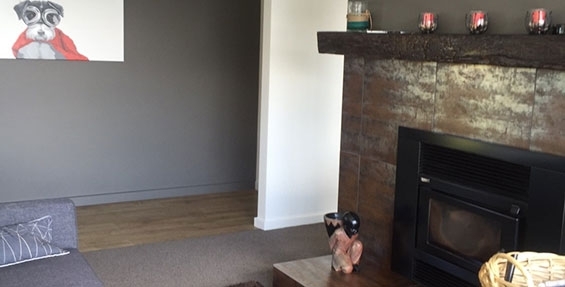 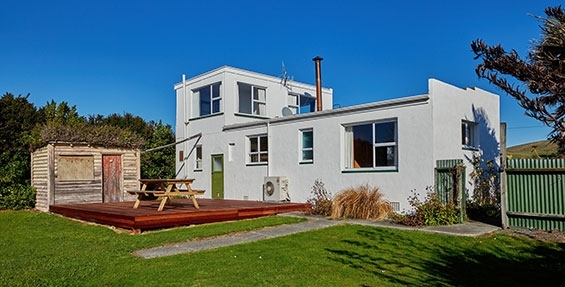 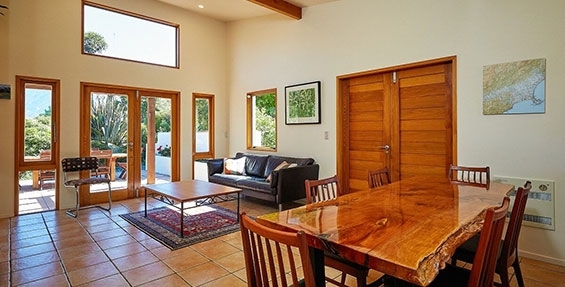 This cosy neat house is much loved and set up for families and friends to get together in Kaikoura. 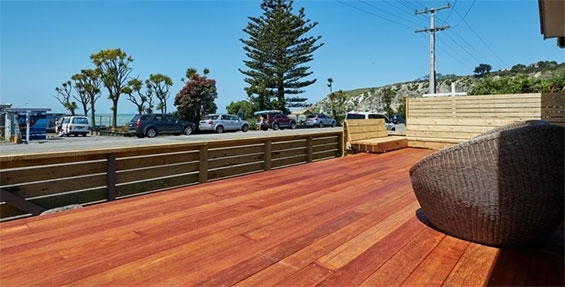 Churchill Park just across the road with play area for children, the Kaikoura new library and museum is a short walk away, there is plenty to keep everyone busy. 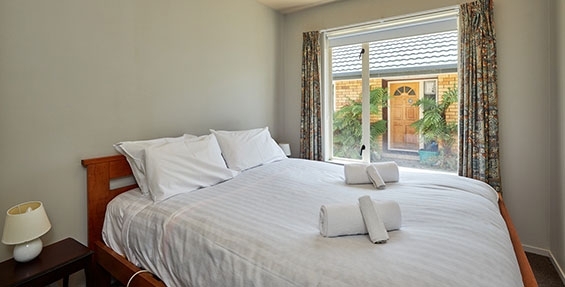 Protea House is a lovely 3-bedroom house with master bedroom and ensuite. 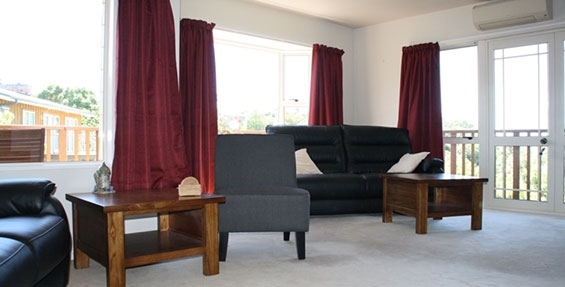 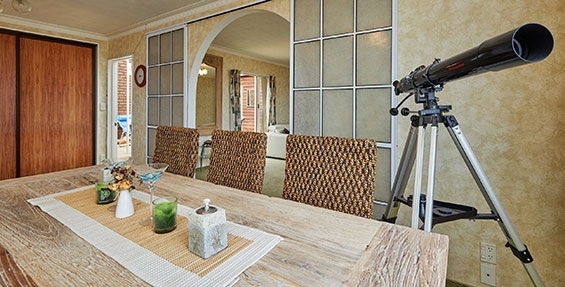 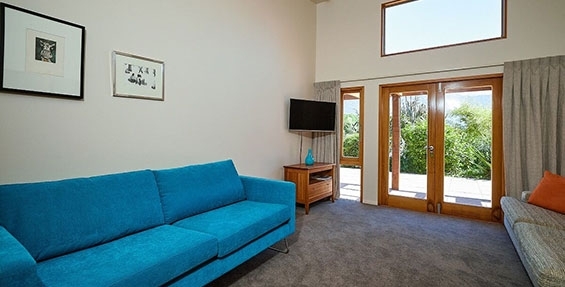 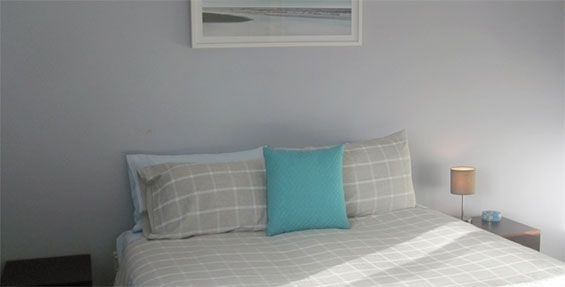 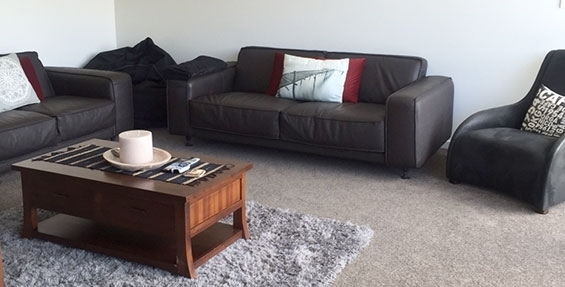 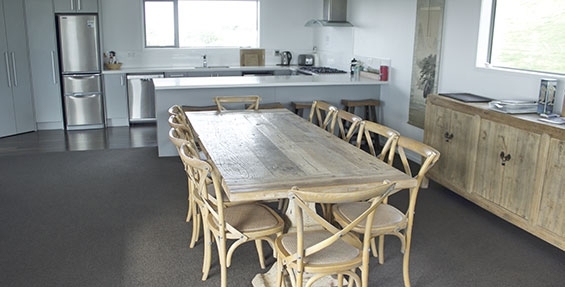 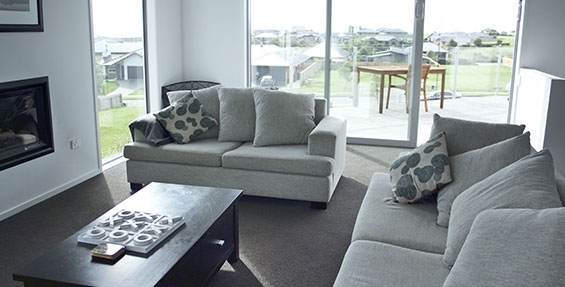 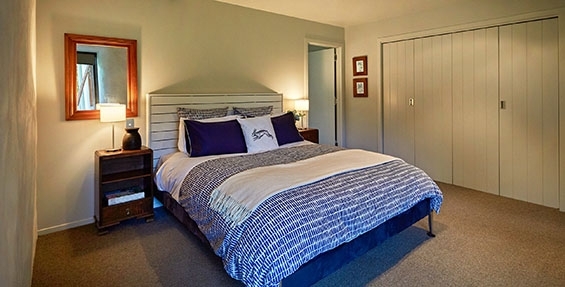 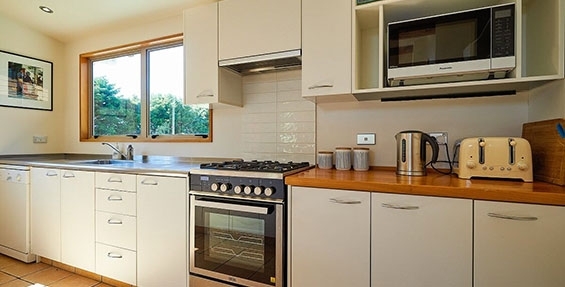 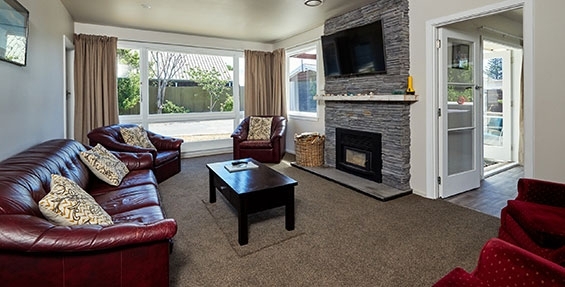 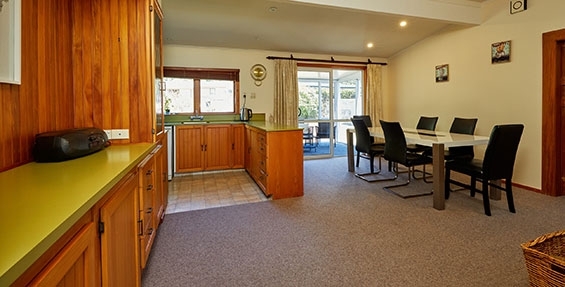 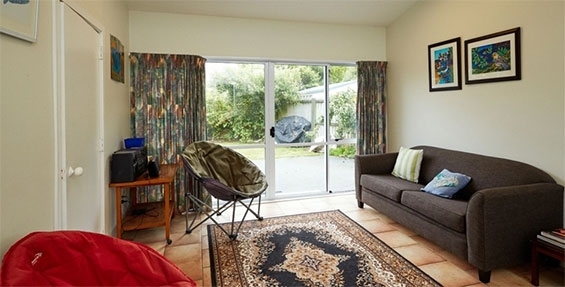 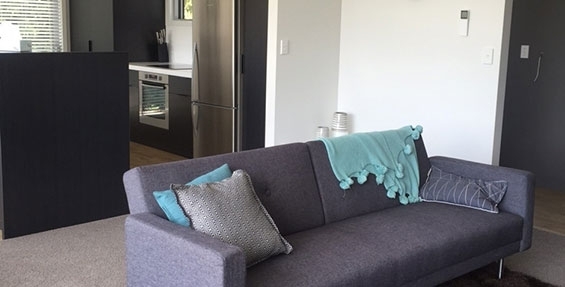 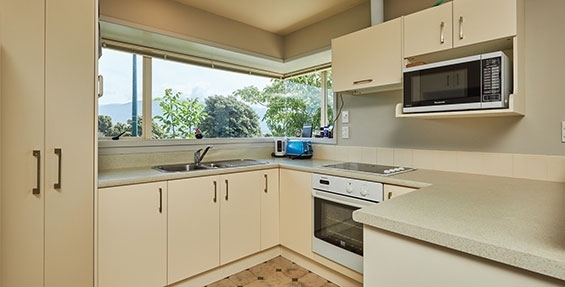 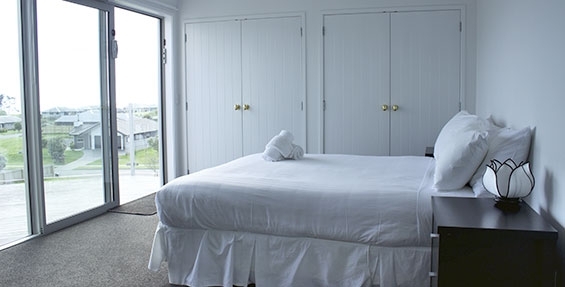 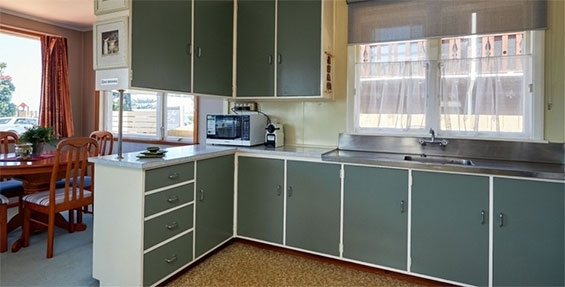 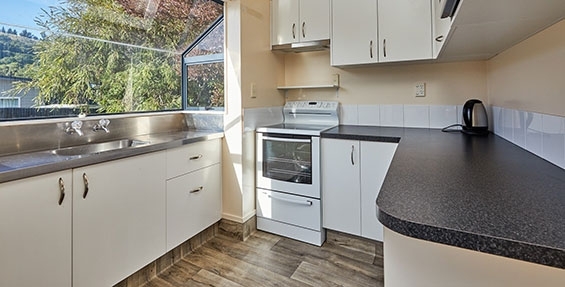 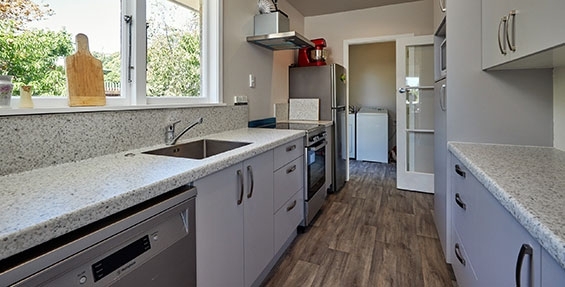 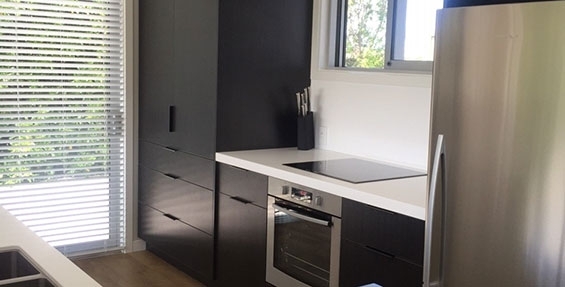 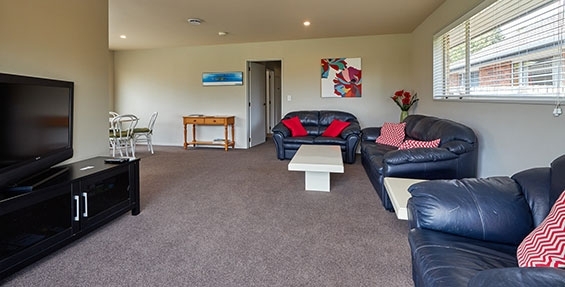 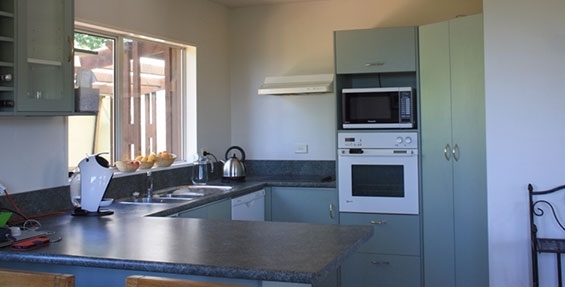 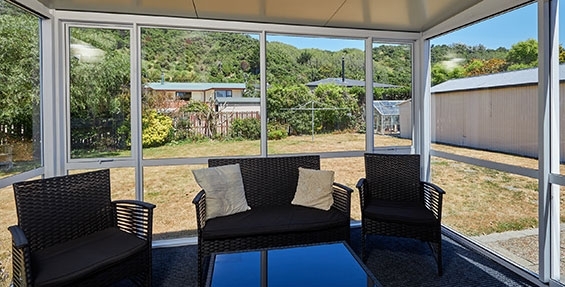 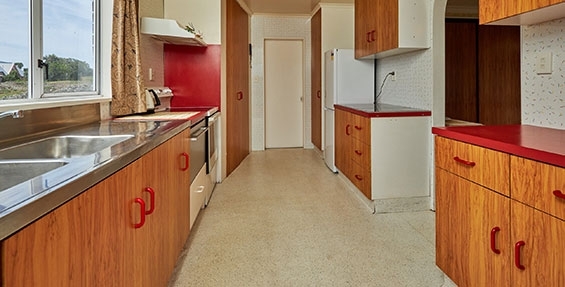 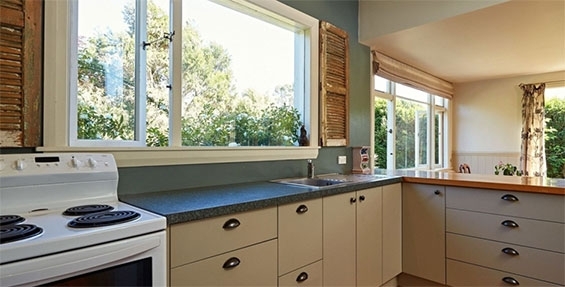 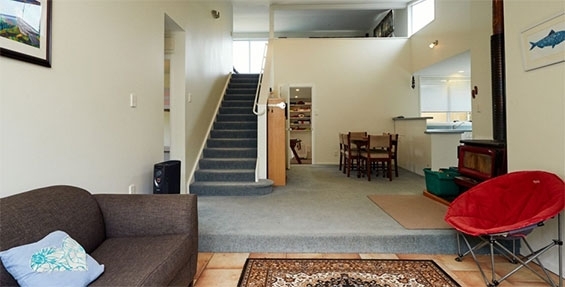 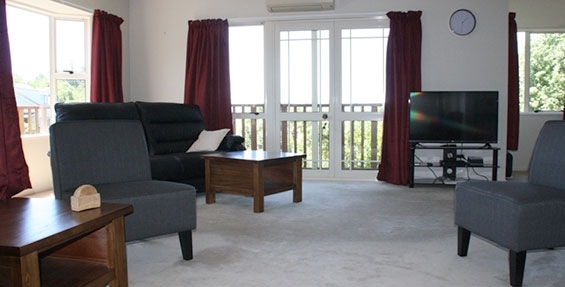 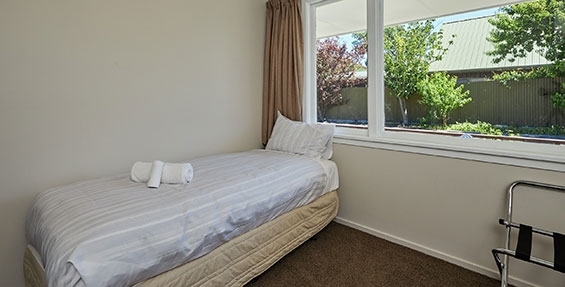 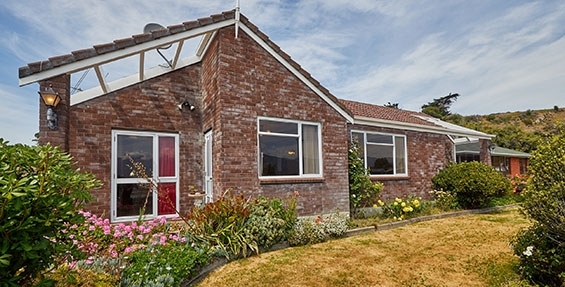 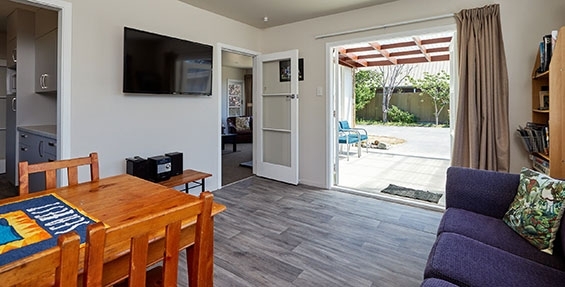 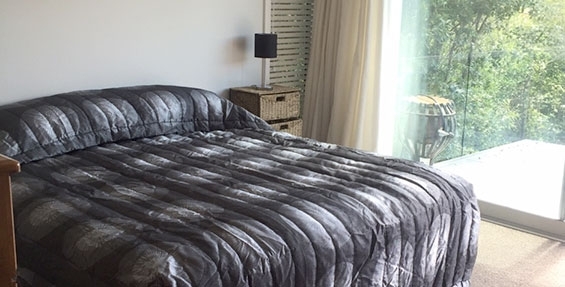 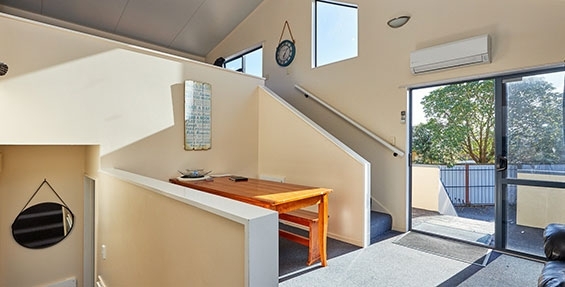 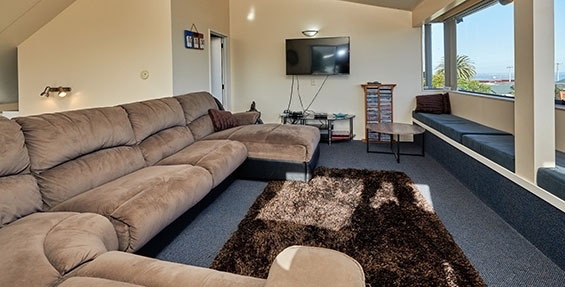 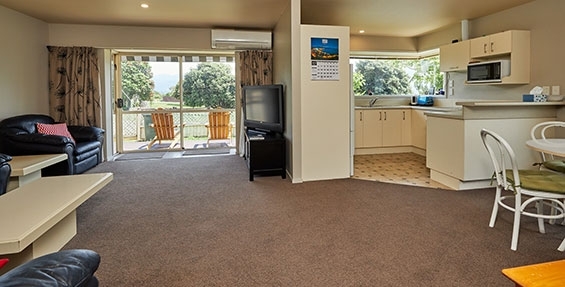 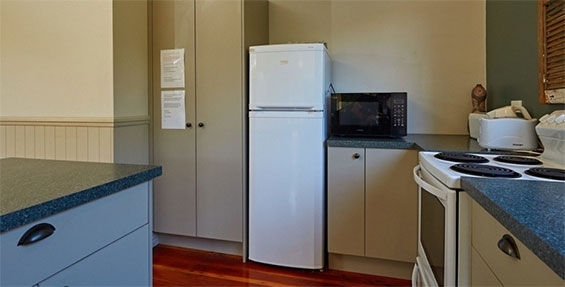 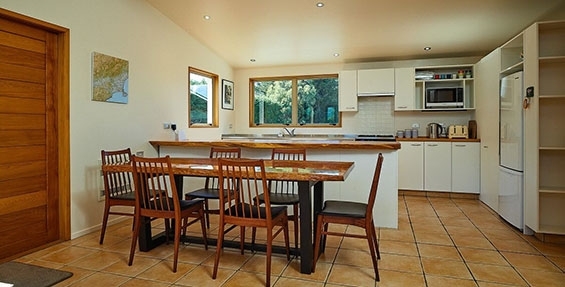 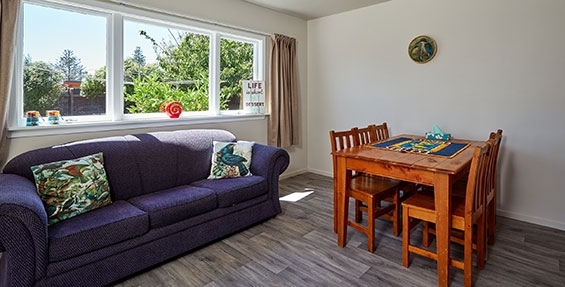 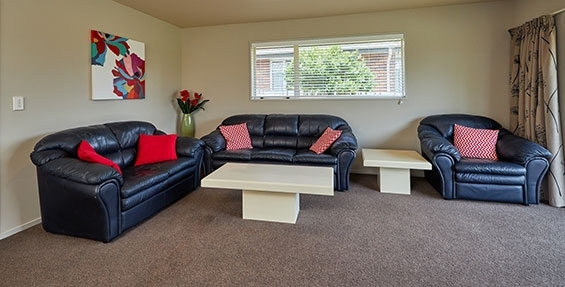 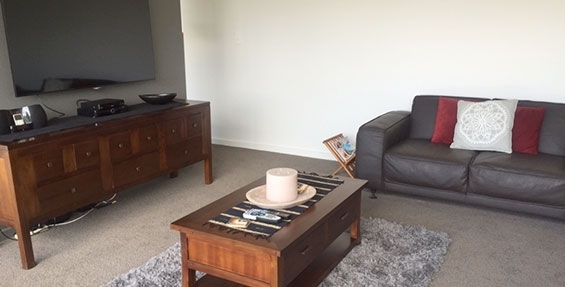 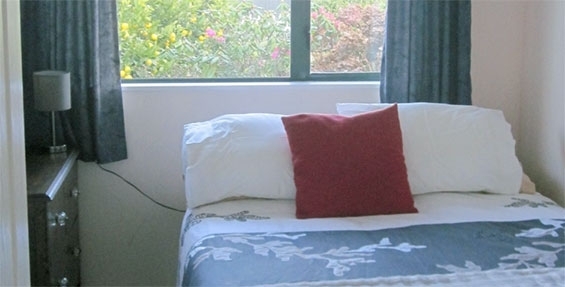 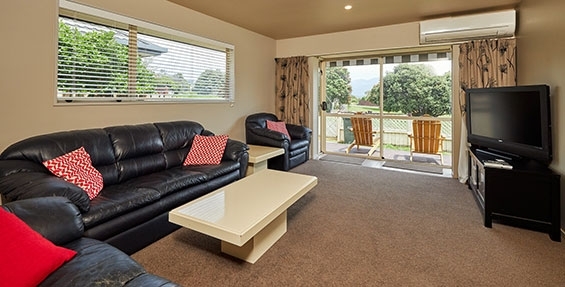 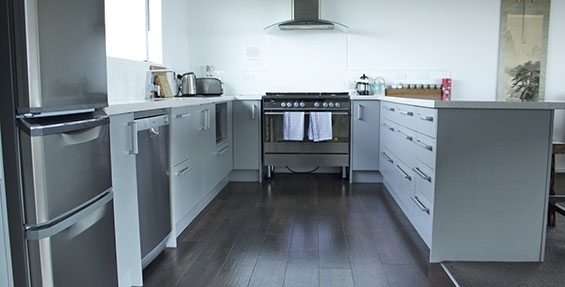 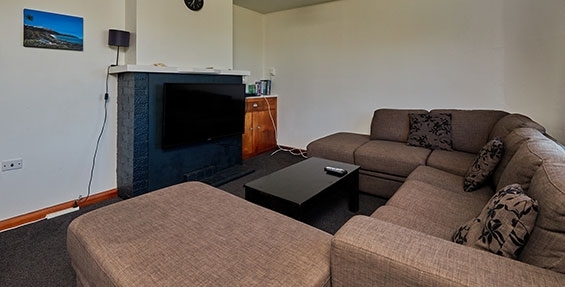 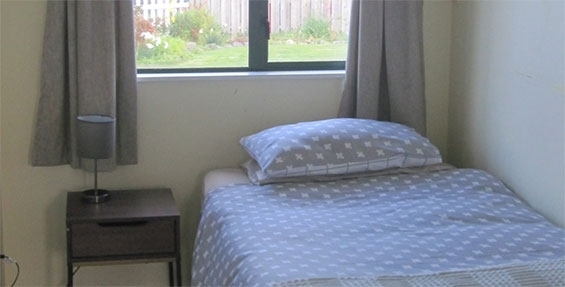 Spacious and tastefully outfitted, this is an ideal location to spend your time in Kaikoura. 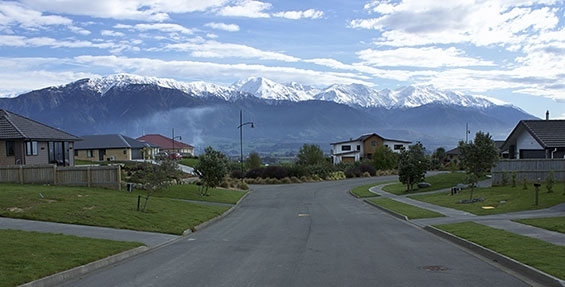 The views are to die for – some of the best in Kaikoura. 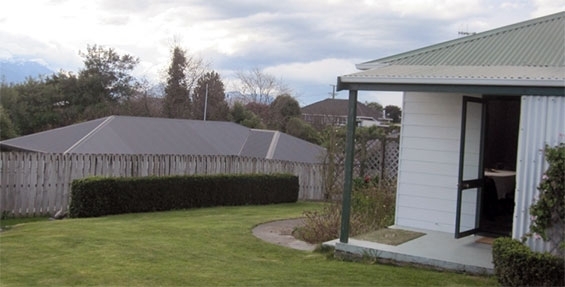 The gardens are full of flowers, with space for children to play and explore. 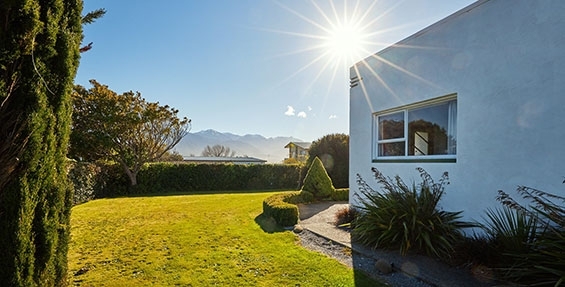 A stunning 3-bedroom executive home beautifully decorated on the stunning peninsula of Kaikoura. 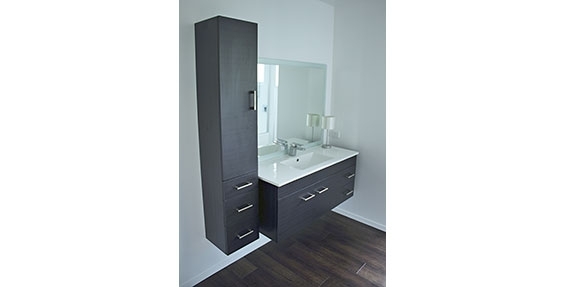 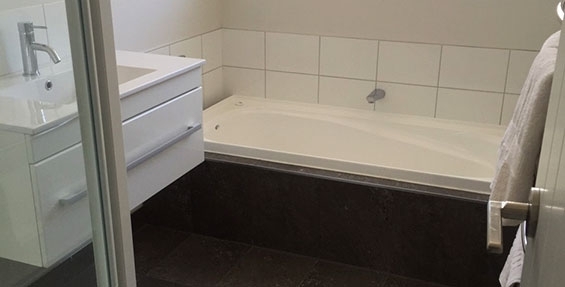 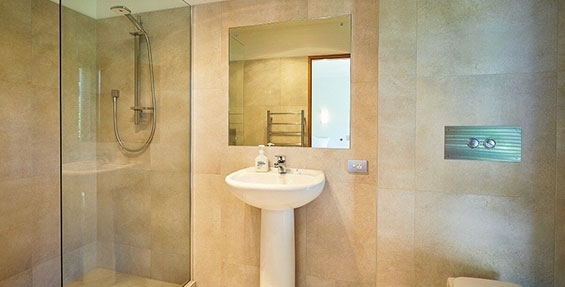 Ensuite bathroom and modern kitchen. 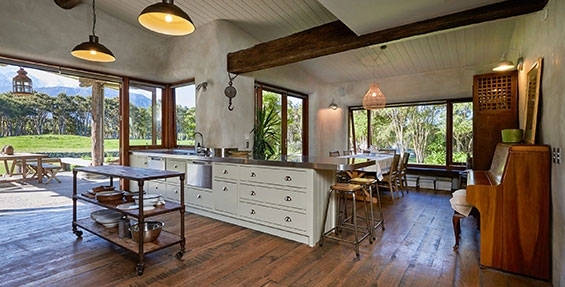 Lounge, dining and kitchen all flow in an open-plan design. 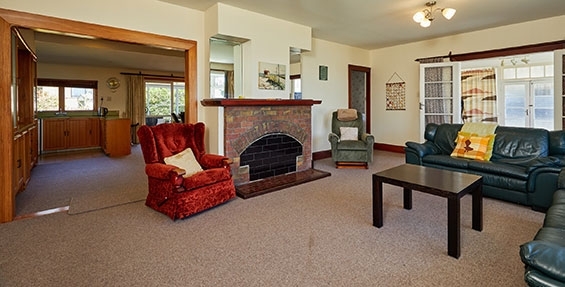 A log fire separates the living room and lounge. 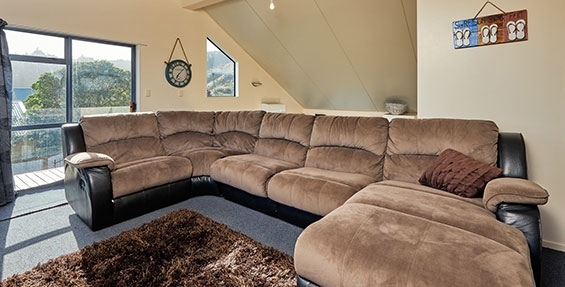 Perfect place to entertain or relax. 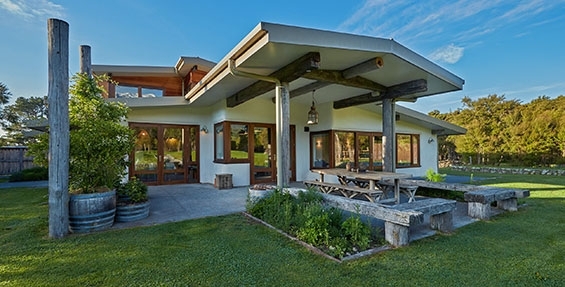 The whole front of the house opens up onto a large deck creating excellent indoor-outdoor flow. 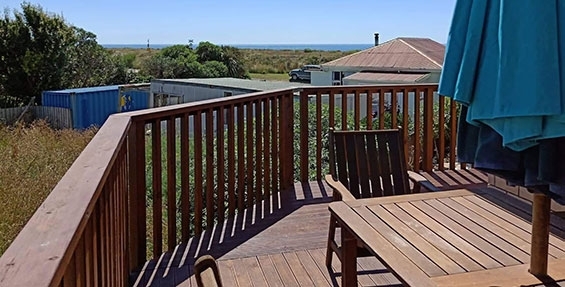 Sea-renity beach house is in a stunning location right across the road from the beach. 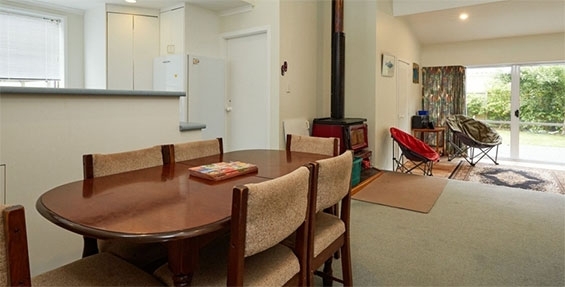 This spacious beach house has a great log burner with dry firewood available, as well as a heat pump. 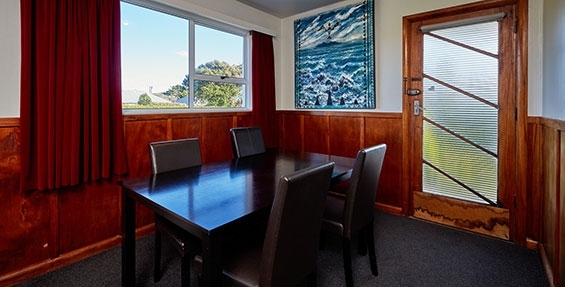 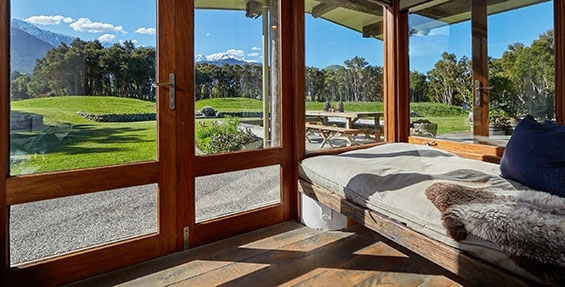 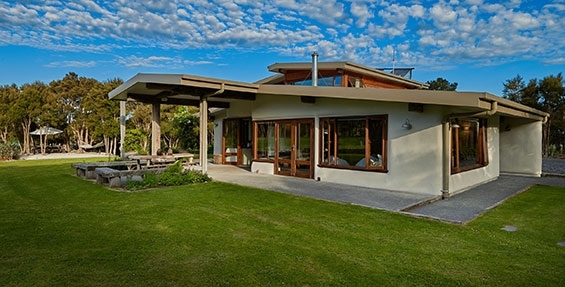 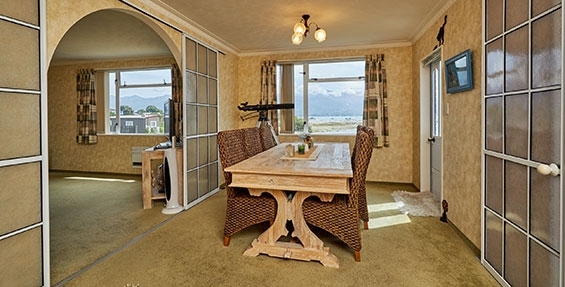 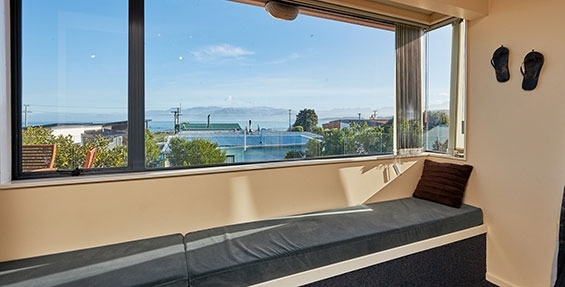 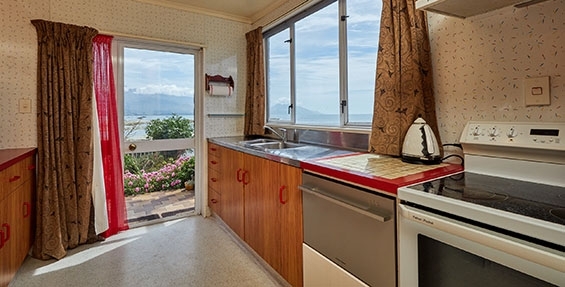 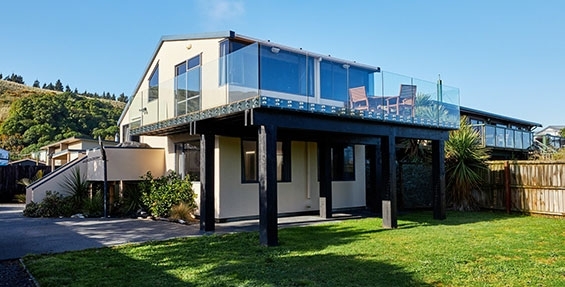 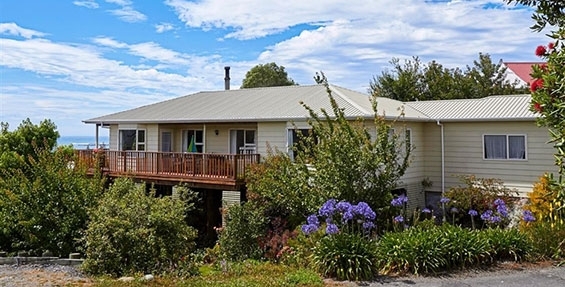 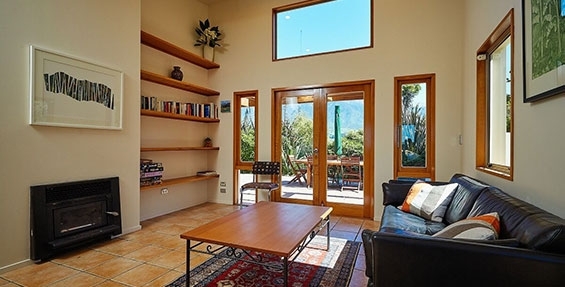 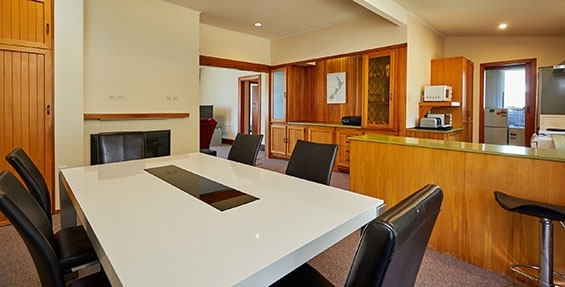 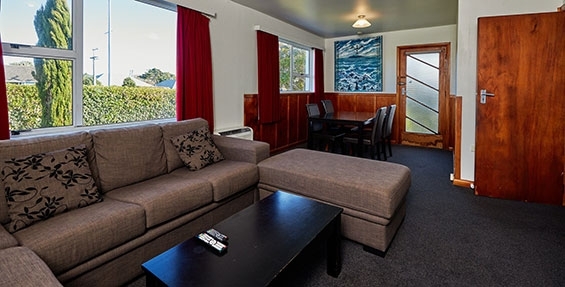 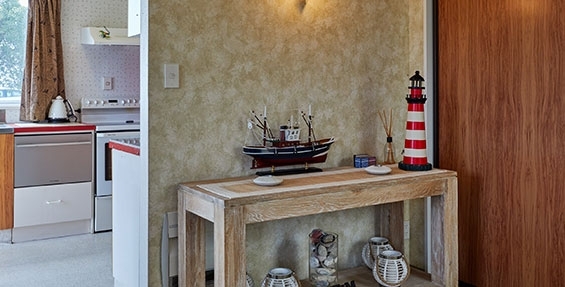 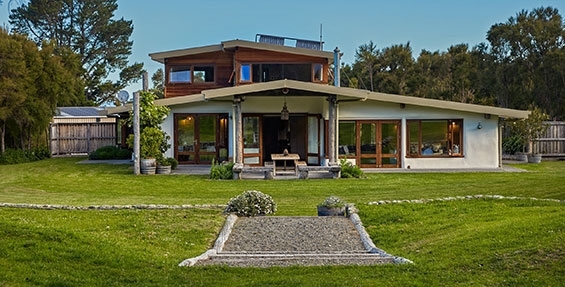 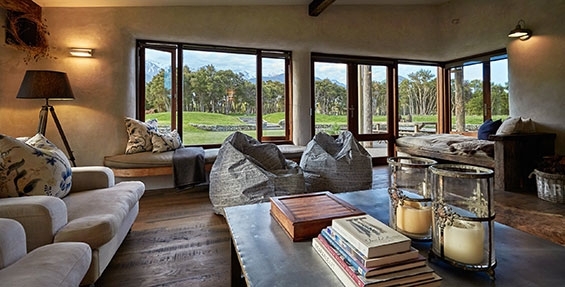 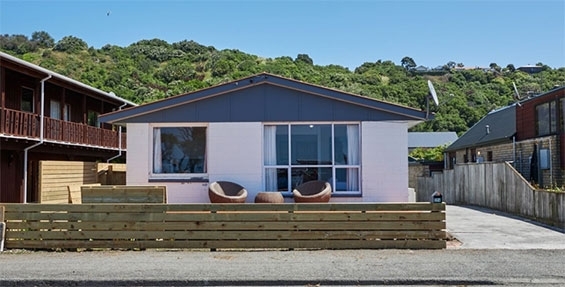 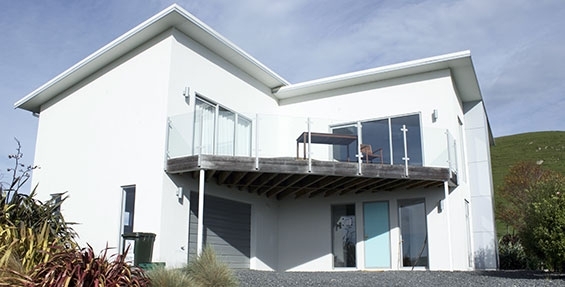 A cosy house to enjoy the amazing views of dolphins and the beautiful Kaikoura skyline. 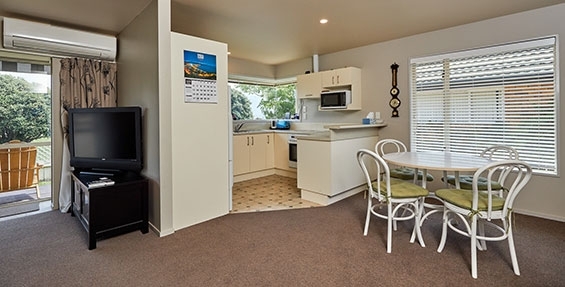 One night available on request. 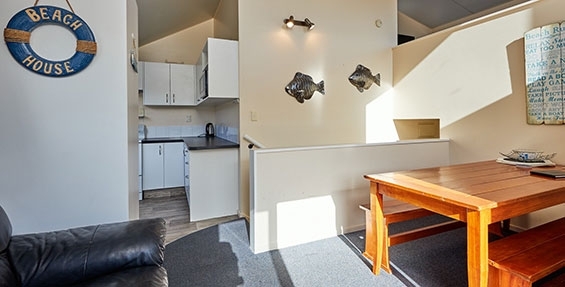 FISHERMAN'S FRIEND – PERFECT LOCATION! 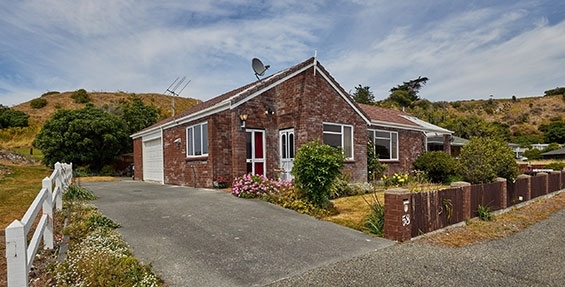 Fisherman's Friend is a lovely unique home, ideally located in the heart of South Bay, with stunning views to the ocean and secure space for the boat. 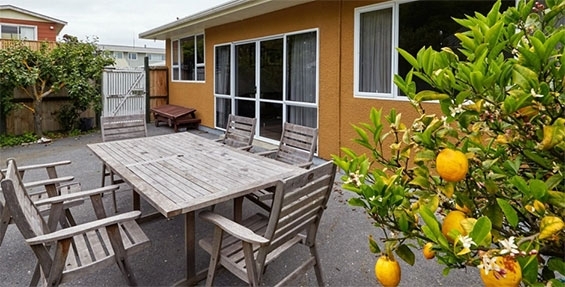 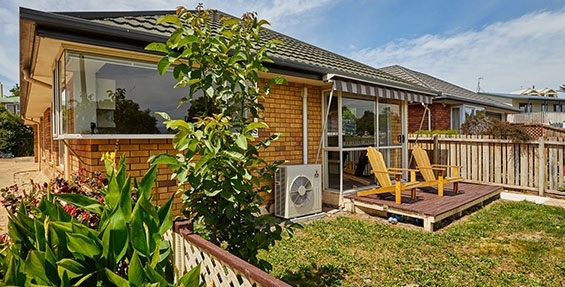 With a secure garden ideal for kids, and an area for a BBQ, this is a great spot to spend time with family and friends. 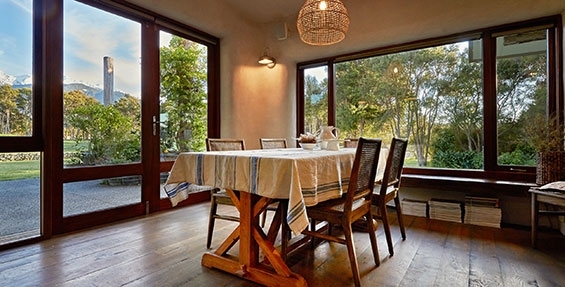 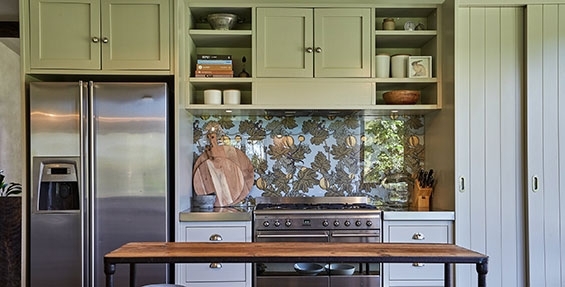 Creek Cottage, from the moment you step inside you will begin to feel at home. 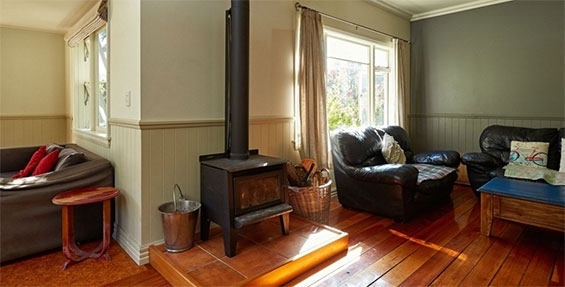 From the beautiful polished floorboards to the cosy wood burner. 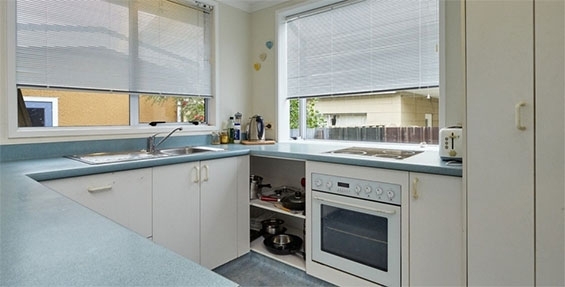 Spacious but homely, open plan living and kitchen. 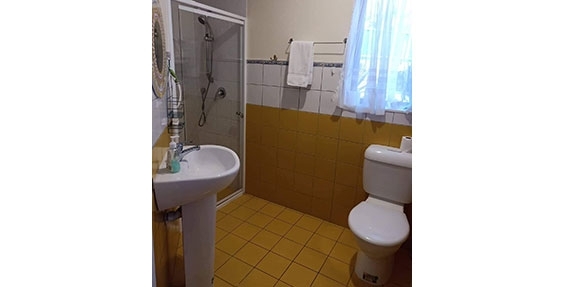 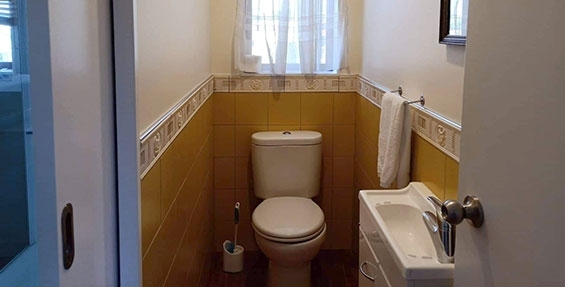 Complimented by 4 double bedrooms and 2 bathrooms. 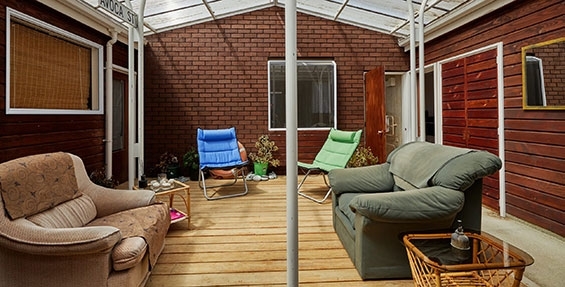 Prepare to be amazed once you step into the backyard. 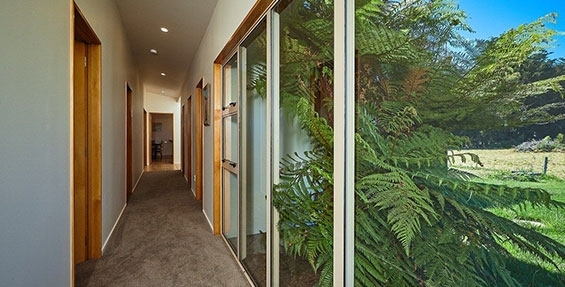 Beautiful gardens with NZ native foliage with quaint pathways all the way down to the creek boundary. 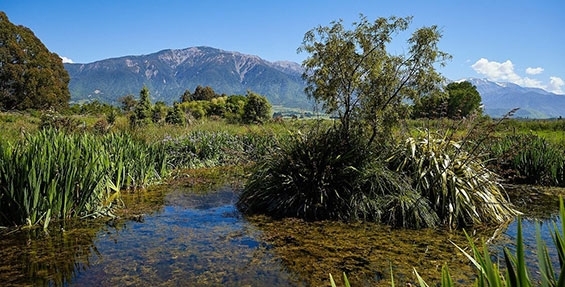 Here you will find an abundance of NZ eels and perhaps a trout or two. 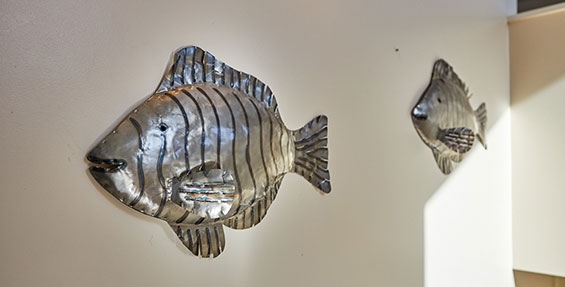 To witness them in all their glory take some bread to feed them or any food scraps. 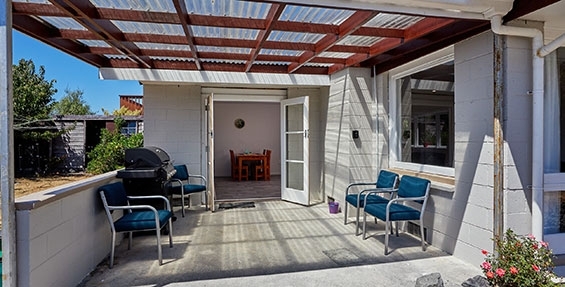 A lovely barbecue area directly outside the kitchen/dining and a beautiful established fire pit with it’s own dart board is set closer to the creek. 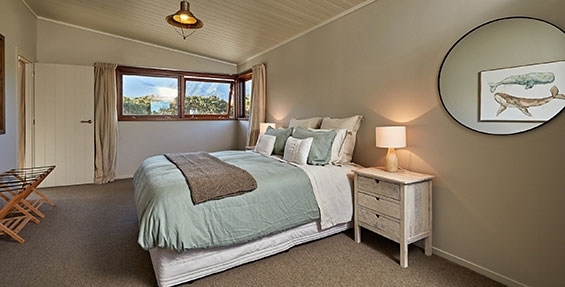 If privacy and tranquility is what you are after, Creek Cottage ticks the boxes. 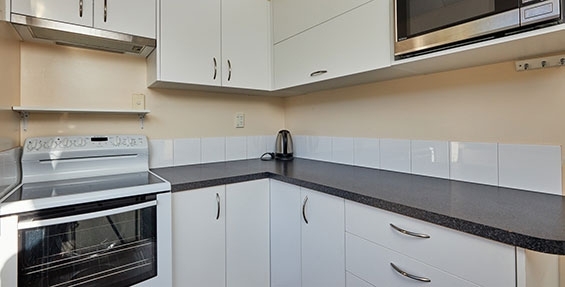 Located approx 2 km from town centre with a fantastic takeaway shop located 100 metres away. 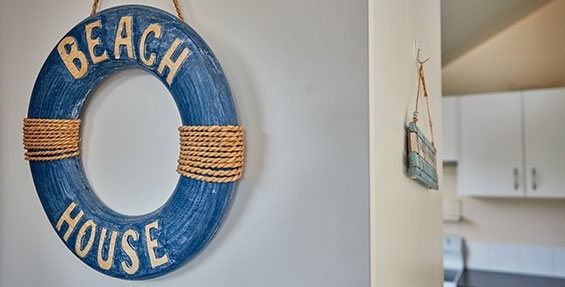 Beach access is a 5 minute walk away. 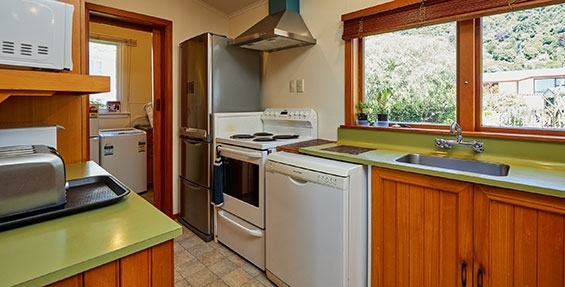 Creek Cottage is set up as fully serviced but has options for DIY. 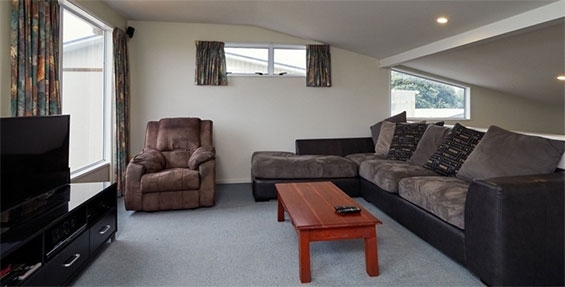 Kopuha is a clean, homely, comfortable house situated on a secure fenced back section. 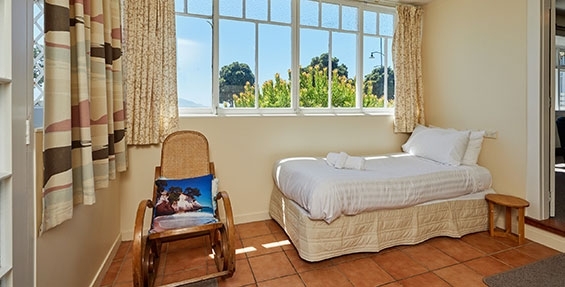 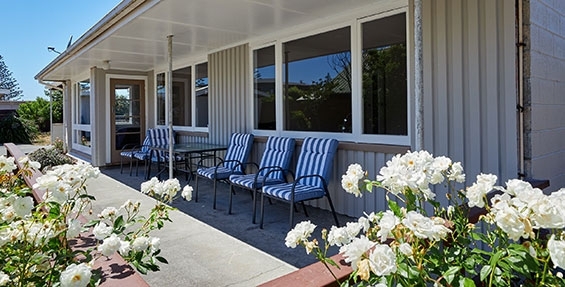 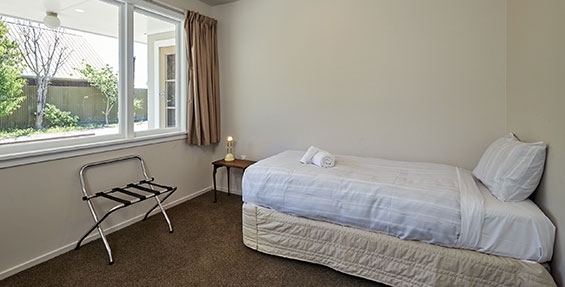 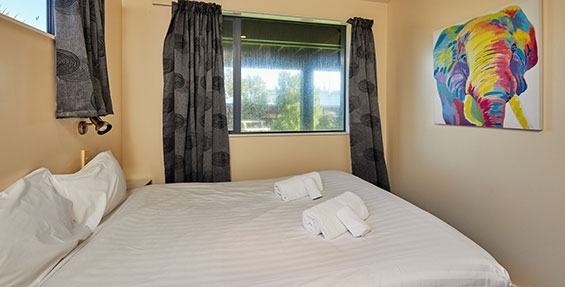 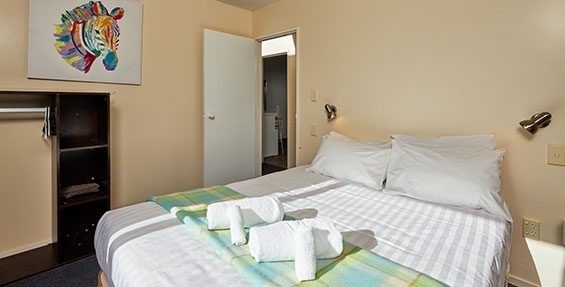 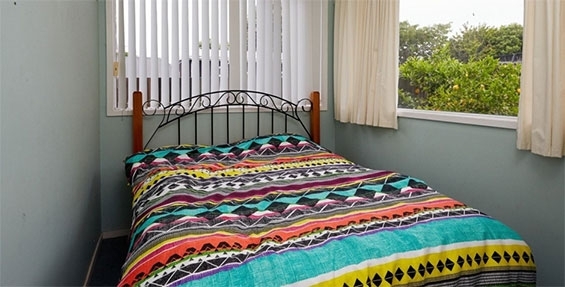 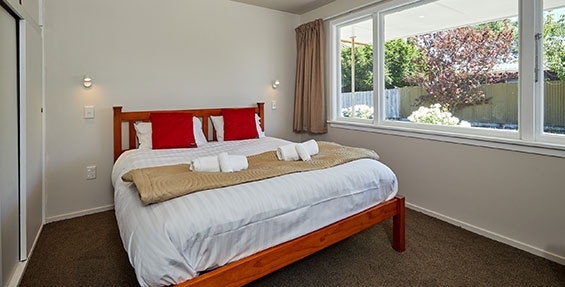 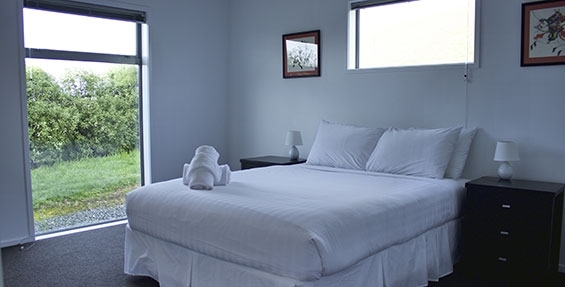 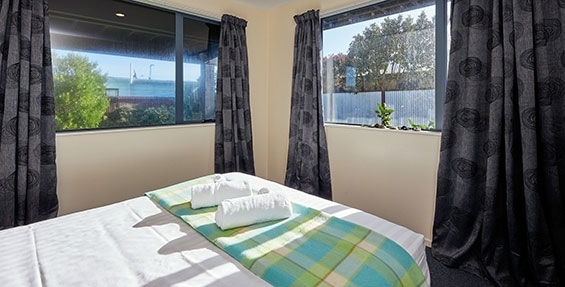 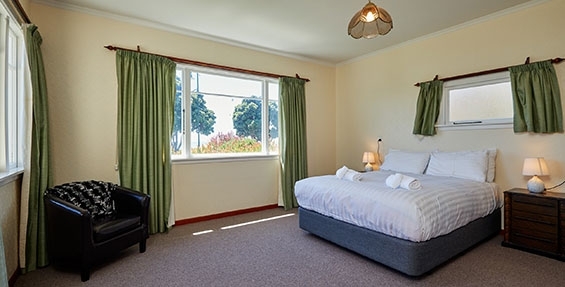 It is also within walking distance of the lovely seaside town of Kaikoura and near the beach and swimming pool. 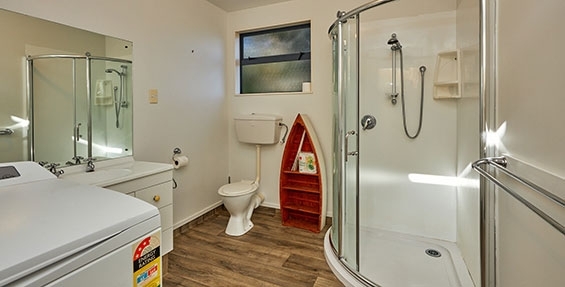 There is heaps of space for boats, cars and children. 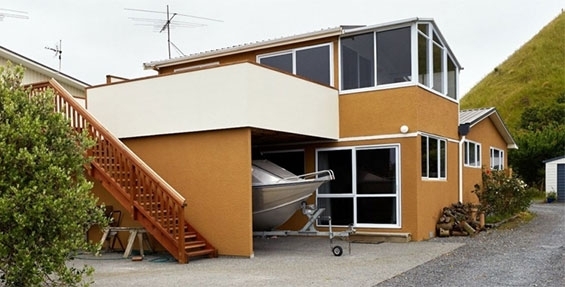 A neat spot! 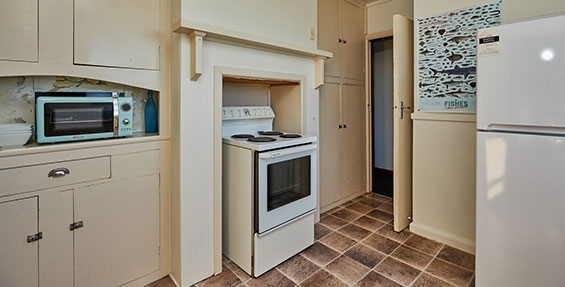 LOCATION LOCATION! 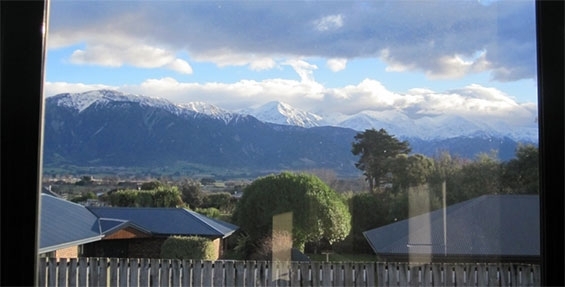 And views – some of the best in Kaikoura! 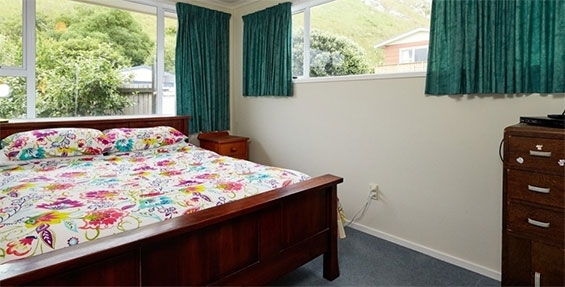 With just minutes walk to the town. 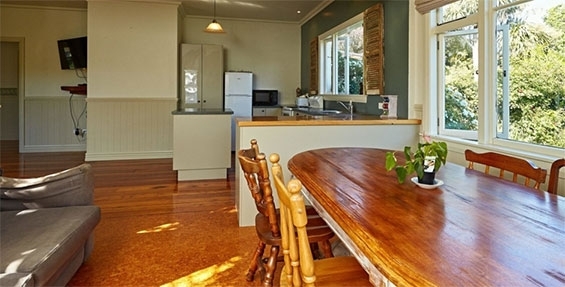 This lovely older house has huge character with gardens and parking off street. 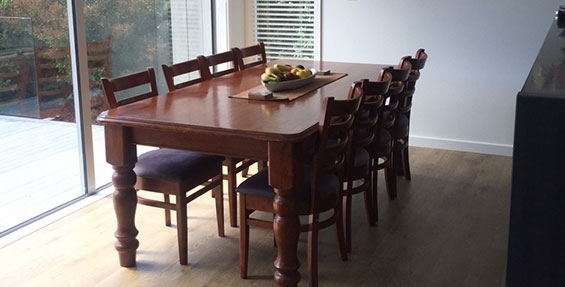 Perfect for family and friends to get together. 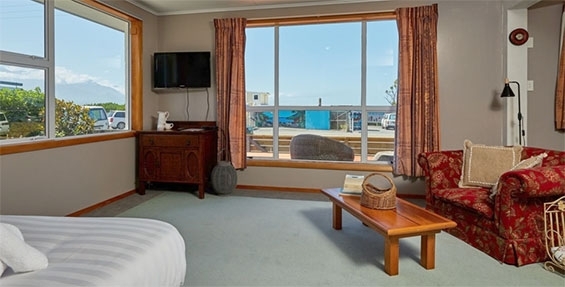 Keep an eye out for dolphins and orca whales. 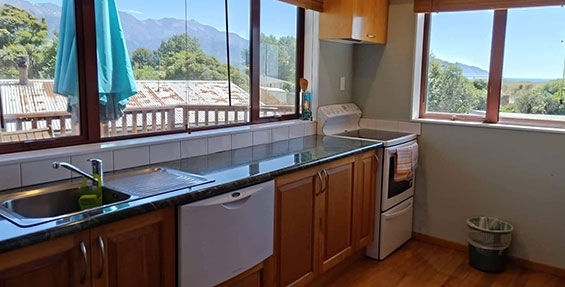 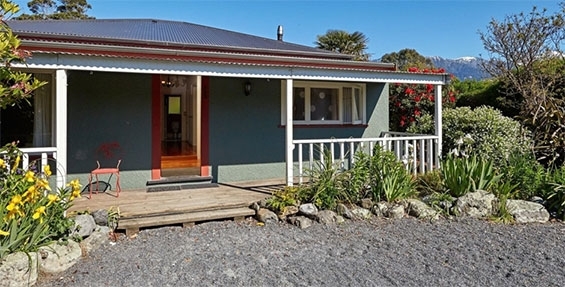 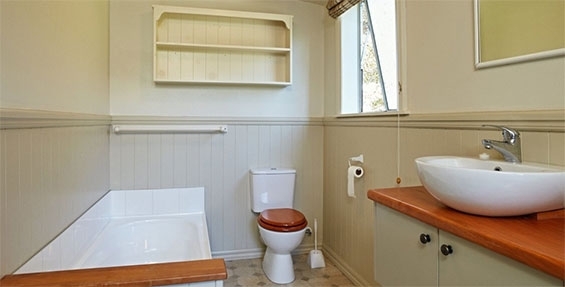 This tidy quirky cottage is charming and a great place to enjoy Kaikoura. 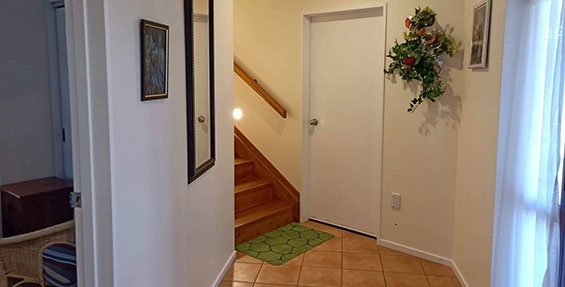 Unfortunately no children under the age of 5 due to the stairs to the 2nd floor. 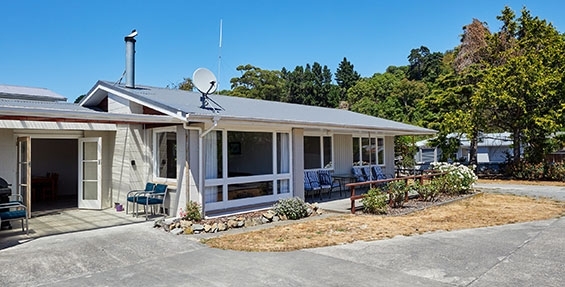 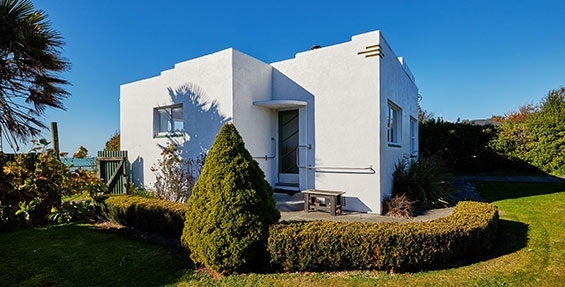 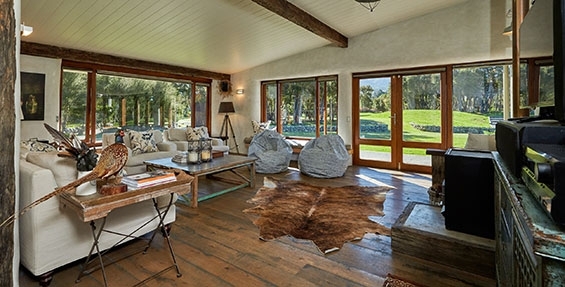 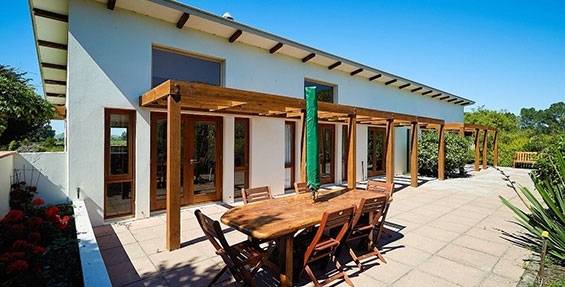 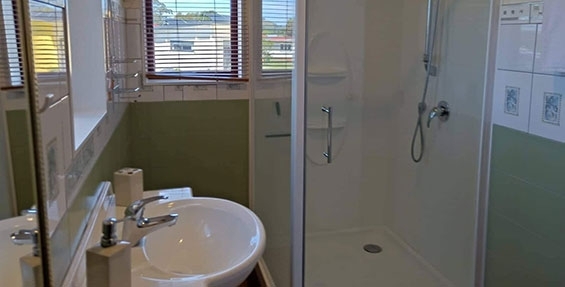 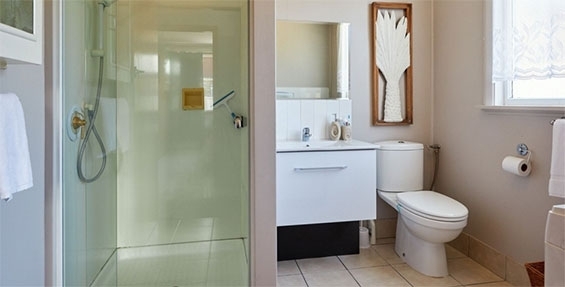 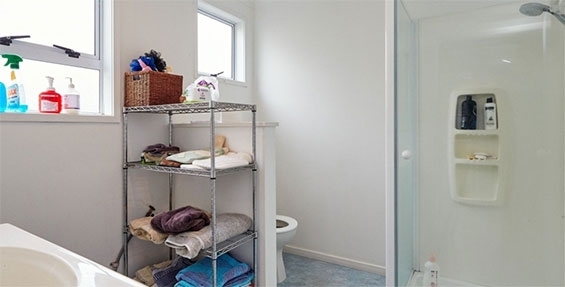 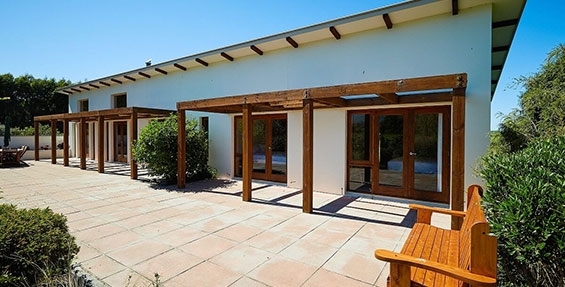 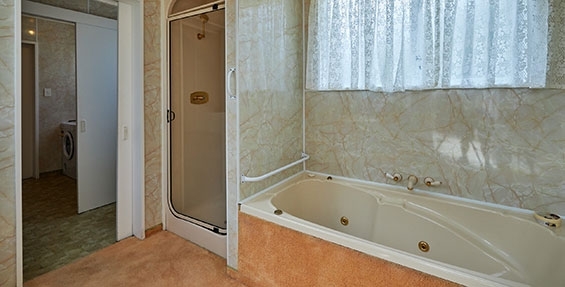 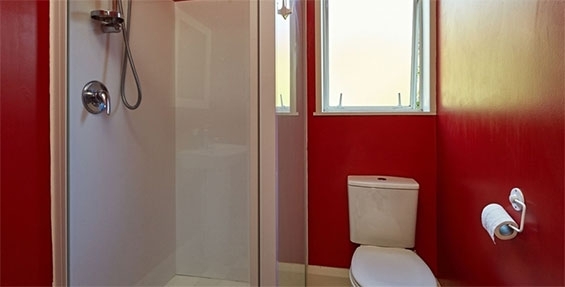 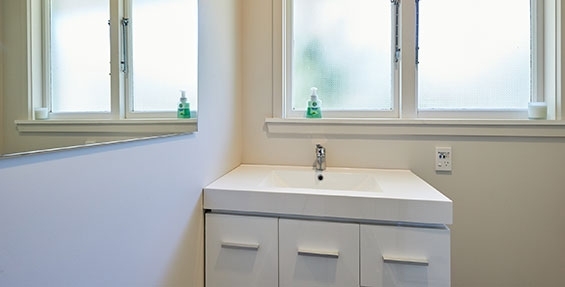 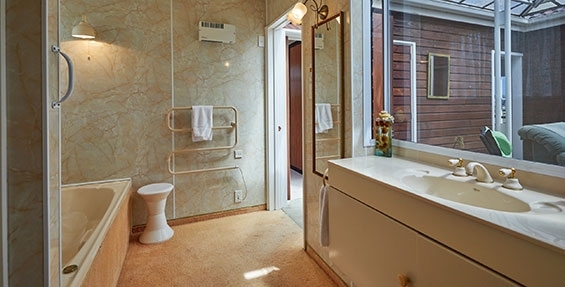 Middlecreek House was designed by an architect, the house has been refurbished since the earthquake, with generous living spaces and three double bedrooms, each with its own en suite bathroom. 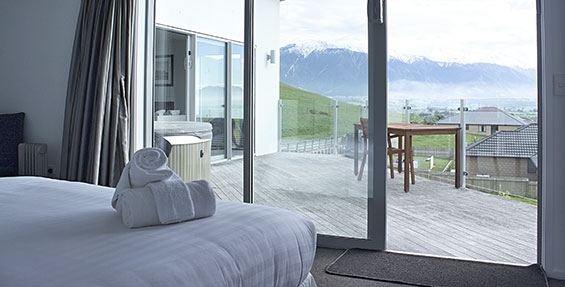 All the bedrooms and living areas feature French doors which open onto a paved courtyard, which is ideal for outdoor living. 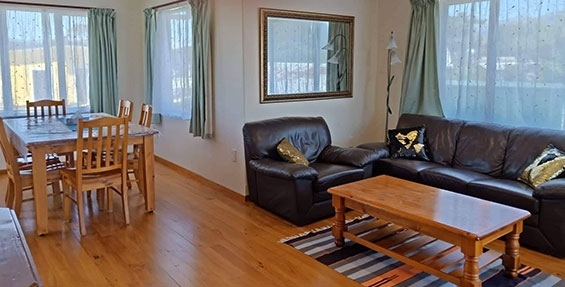 This is a very comfortable, spacious and well appointed house in a lovely setting, and we are sure you will feel at home. 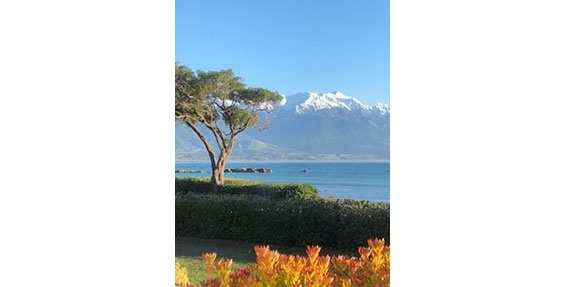 A great place to share with family and friends and unwind in the glorious Kaikoura natural beauty. 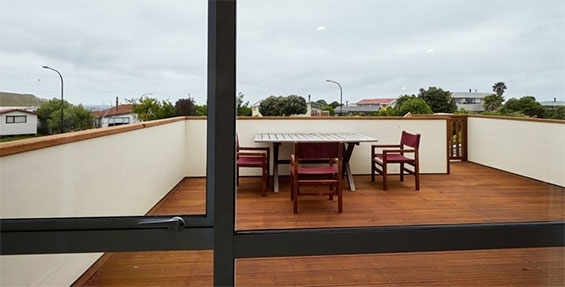 This modern house has a home from home feel with spacious living areas such as kitchen, lounge which make it easy for get-togethers and catch-ups with friends and family. 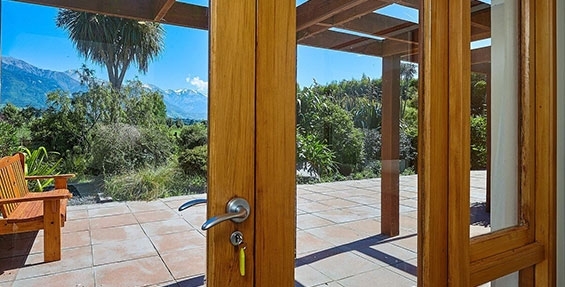 For the outdoor enthusiast, bush and nature walks are on your doorstep. 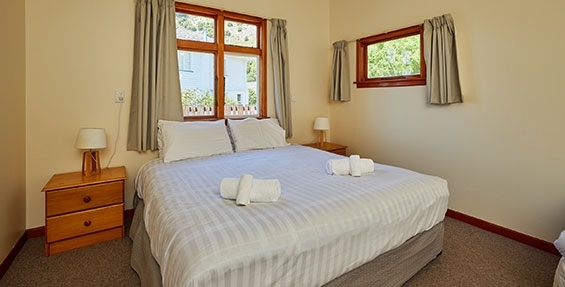 Up to six guests can sleep comfortably with 2 large bedrooms and a bathroom upstairs, and a master bedroom downstairs with ensuite bathroom. 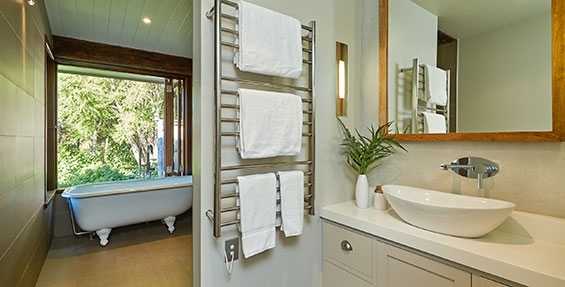 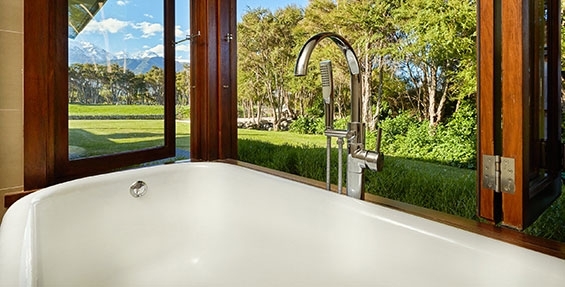 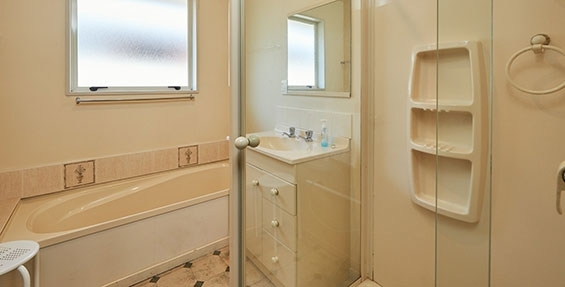 The ensuite features a double shower, and clawfoot bath with garden/mountain views from bifold windows. 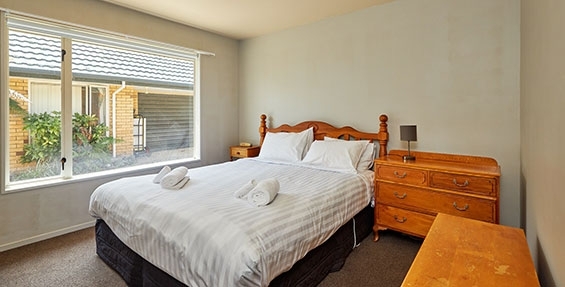 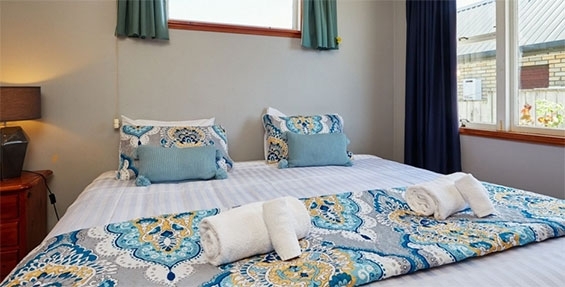 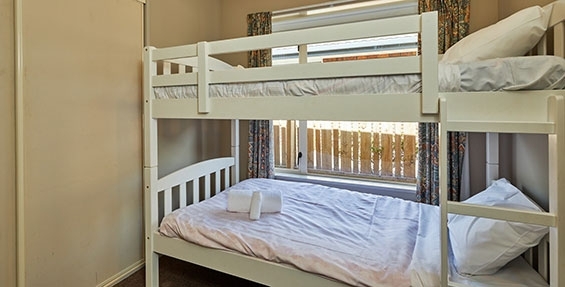 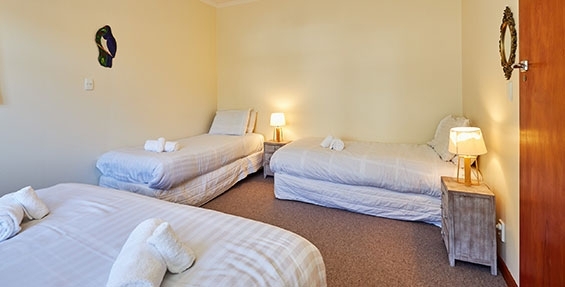 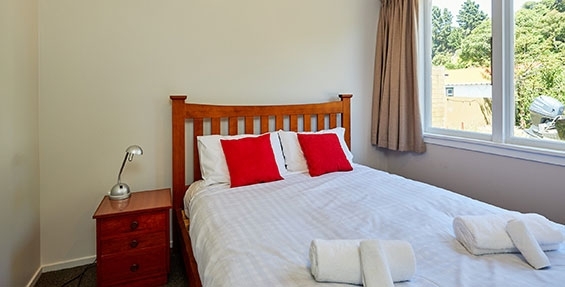 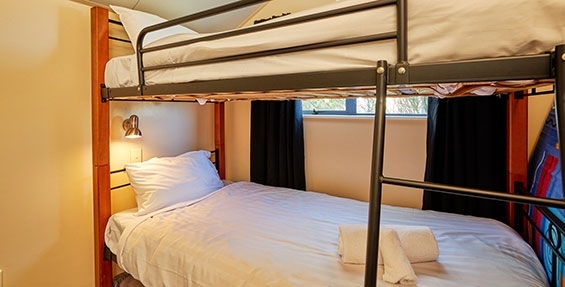 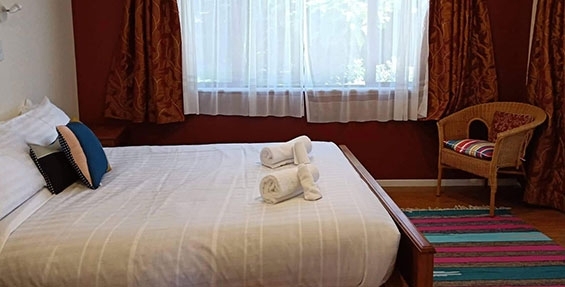 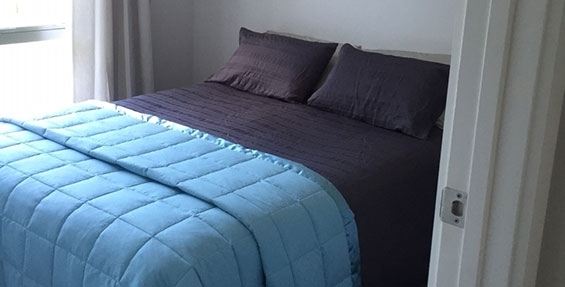 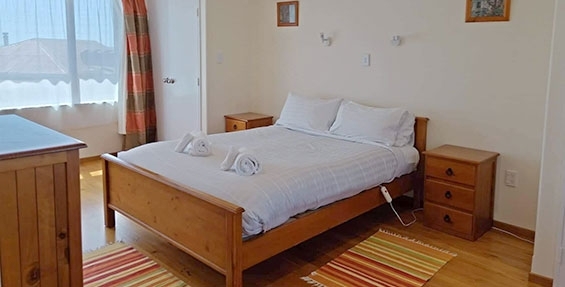 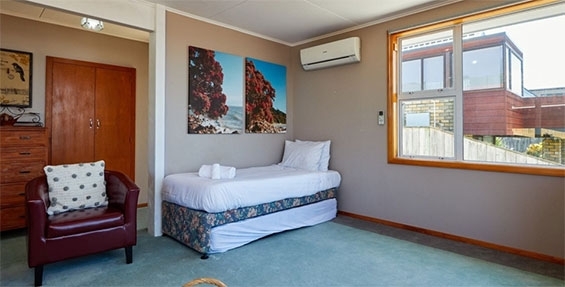 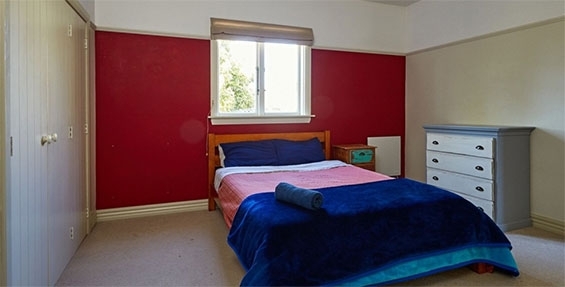 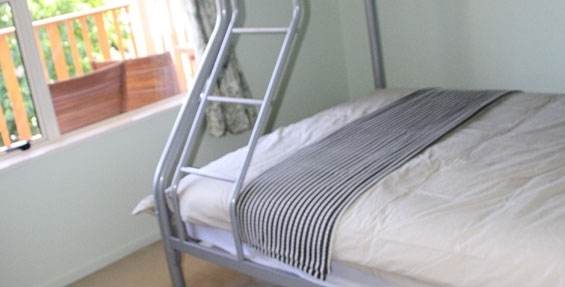 Two bedrooms contain comfortable king size beds, while one of the upstairs rooms has a super king which can be split into twin single beds as required. 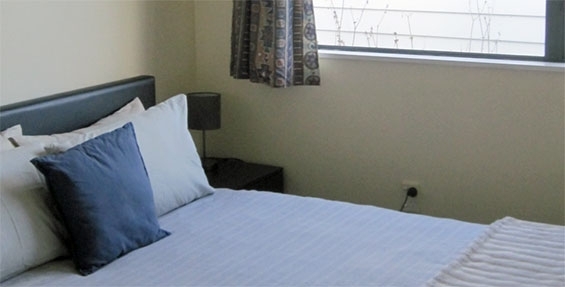 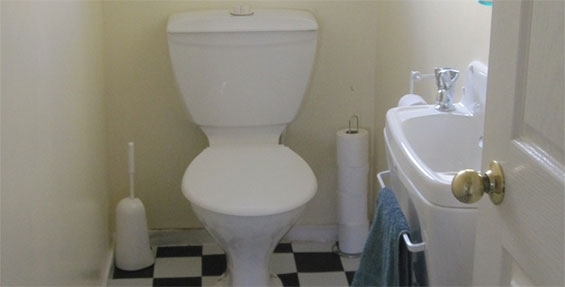 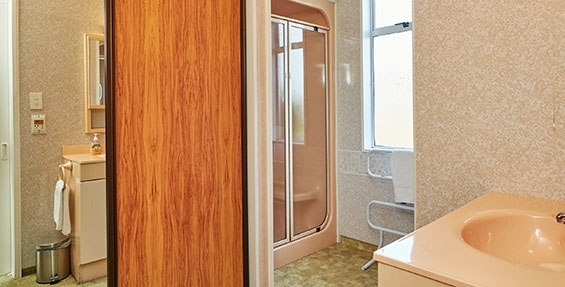 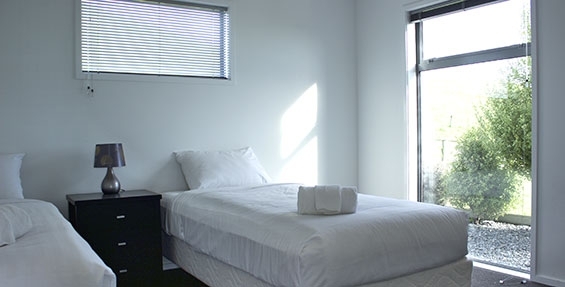 All towels, bedding and linen are supplied along with complimentary toiletries. 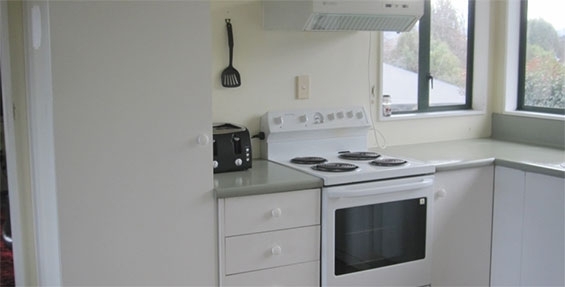 Guests will enjoy a large country kitchen, dining room, comfortable sunny lounge and separate laundry. 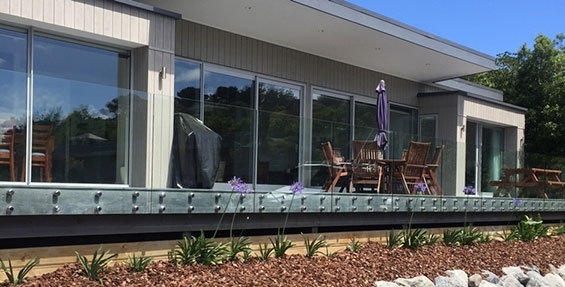 The living rooms have french doors opening directly out to sheltered deck areas, large outdoor table and expansive lawn with a Springfree trampoline. 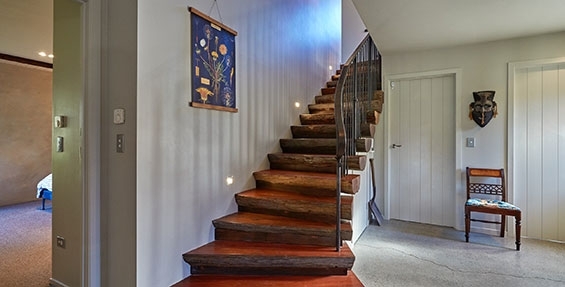 The house features rustic hardwood beams, sills and handcrafted stairway. 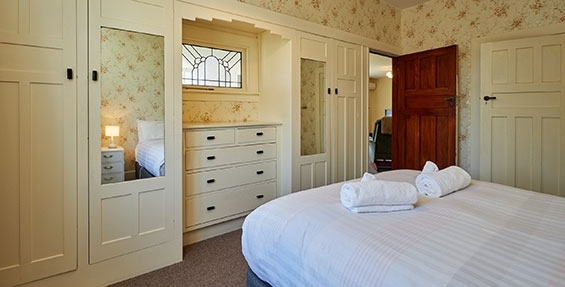 Natural lime plaster walls, solid oak floors, 100% wool carpets, low VOC paint finishes, tasteful furnishings, log burner, double glazing and excellent insulation which maintains a stable temperature even on very hot summer days. 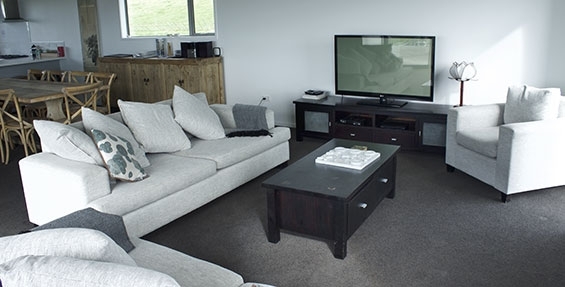 WiFi, Freeview TV, Netflix, DVD, Nespresso machine, mountain bikes available on request. 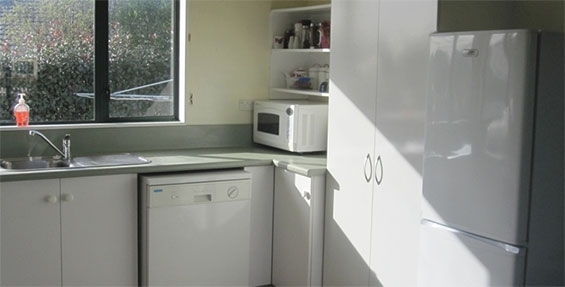 For an additional fee our qualified chef with 18 years experience is available for catering needs by pre-arrangement. 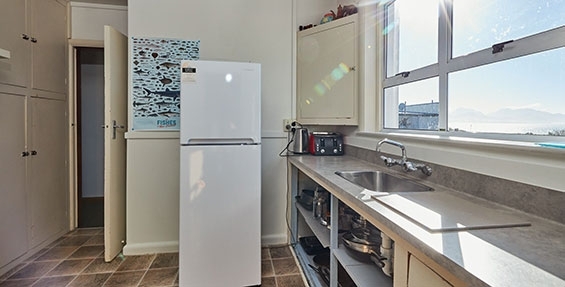 Vegetarian, vegan, and celiac options available. 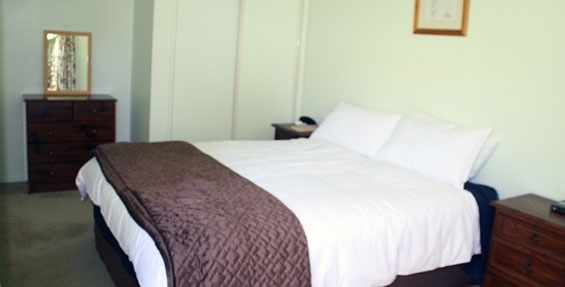 Our chef has a passion for seasonal, locally grown, nutrient dense organic produce. 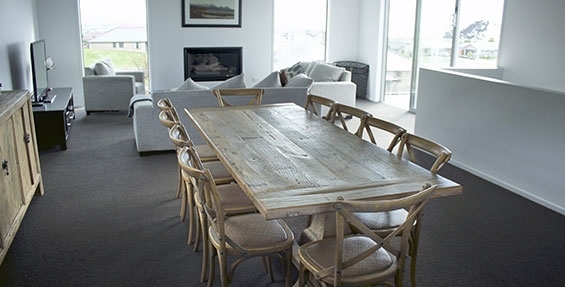 We are able to offer a full service of breakfast, lunch, dinner, and picnic hampers can be made for outings. 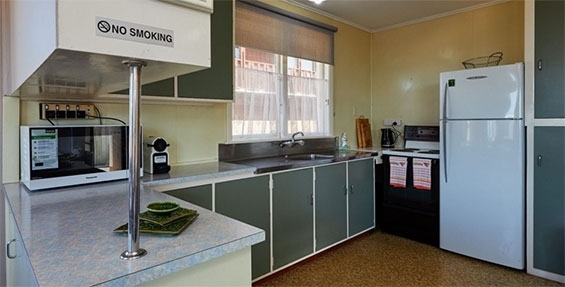 If catering is required it must be noted at time of booking. 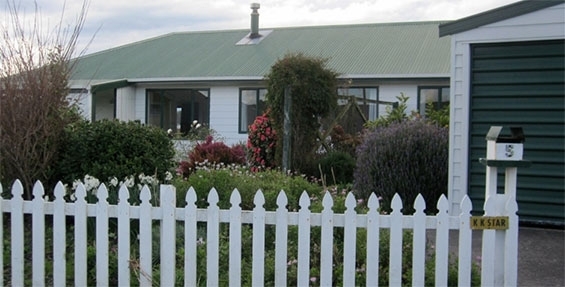 A lovely bach in a perfect location, close to Kaikoura town and across the road from the beach. 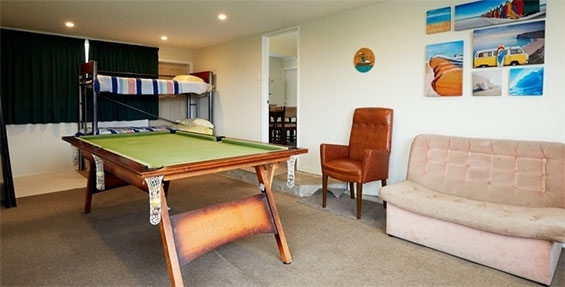 Nicely set up for a couple or small family. 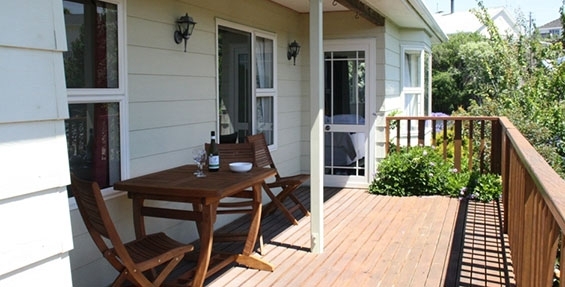 A stunning deck to enjoy breakfast or a glass of wine in the evening. 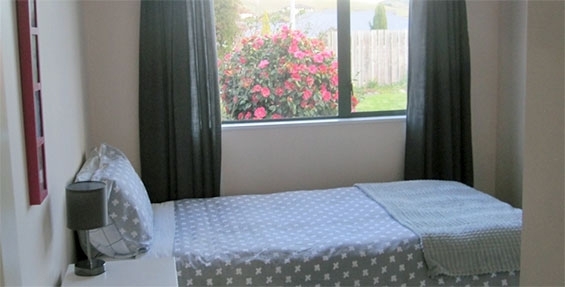 This cute bach is set up with linen and cleaning included. 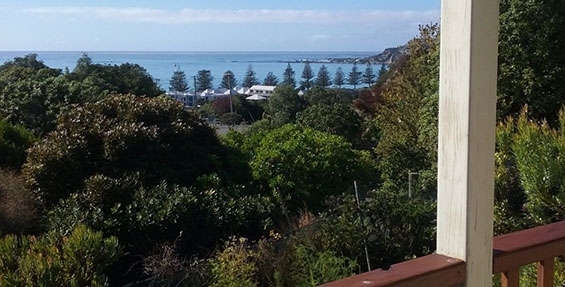 A quick five minute drive to town to grab a coffee and a bite to eat. 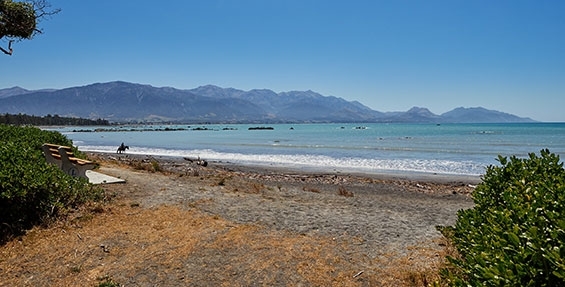 Kaikoura is a bustling town offering superb cafes, restaurants and boutique shops. 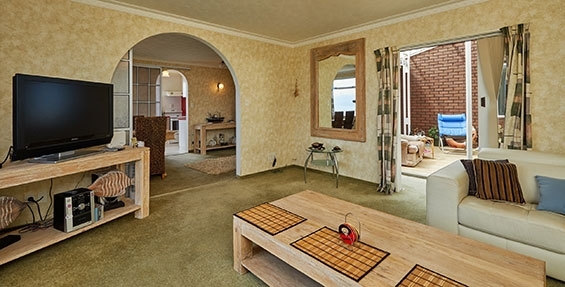 Heart of South Bay is set up for holidays and family and friends getaway. 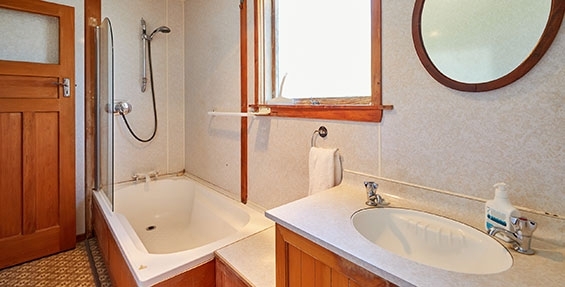 Space for the boat and a outdoor wash area. 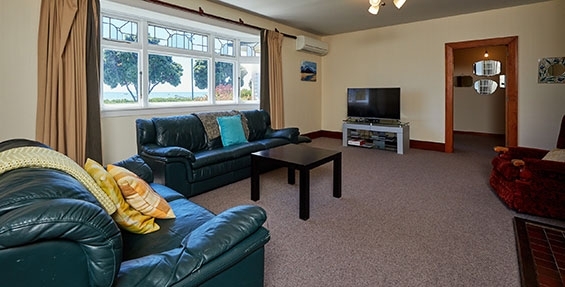 Space in the garden and a short walk to swimming beaches, perfect for snorkeling! 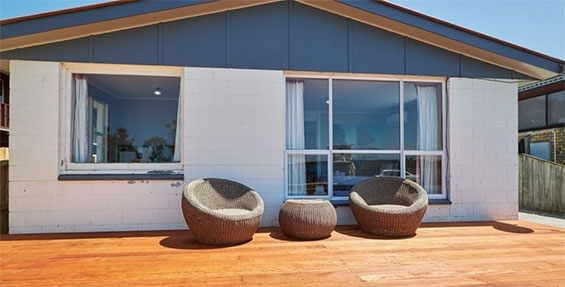 Large three bedroom modern home located near the ocean with stunning views. 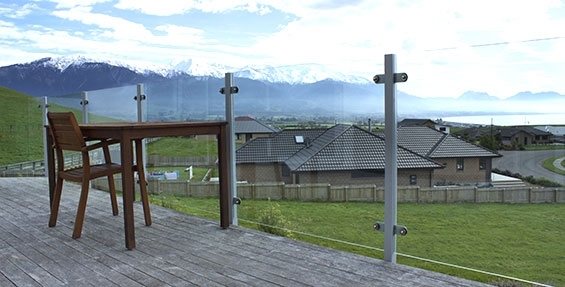 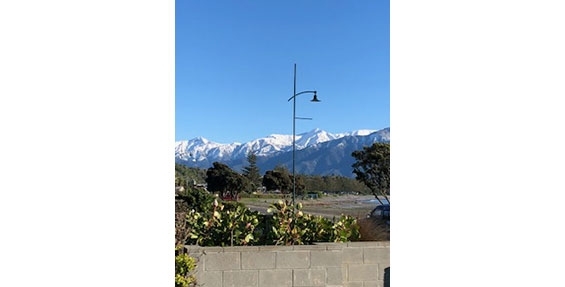 The elevated position overlooks the North Coast, the beautiful Bays and the Kaikoura mountains. 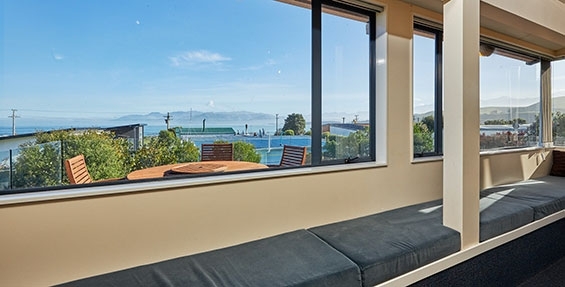 Dolphins and whales are often seen in the Bay from the deck and second floor. 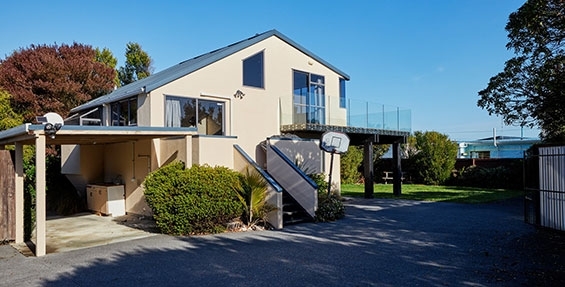 There is a large driveway and garage providing ample car/boat parking and easy access to the beach and walks. 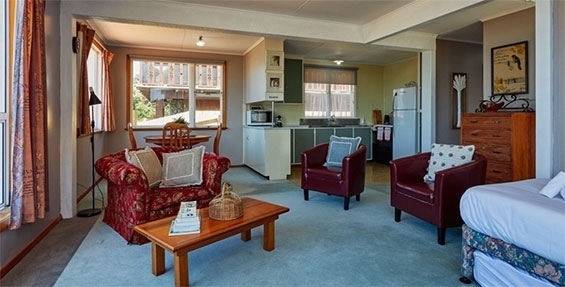 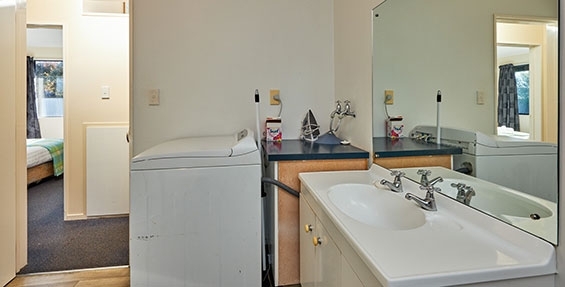 Three bedrooms, two bathrooms, lounge and two heat pumps. 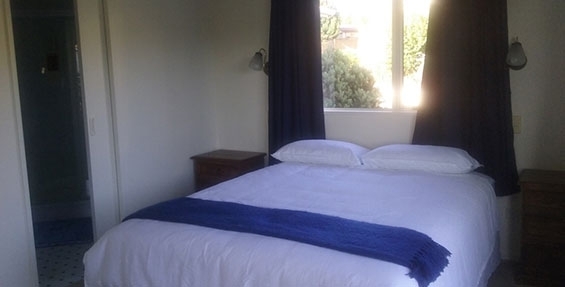 Two queen size beds and two single beds. 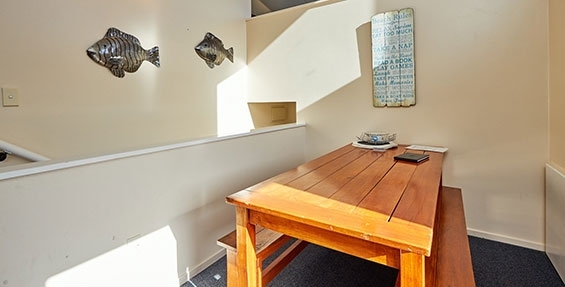 Fish & chips shop around the corner. 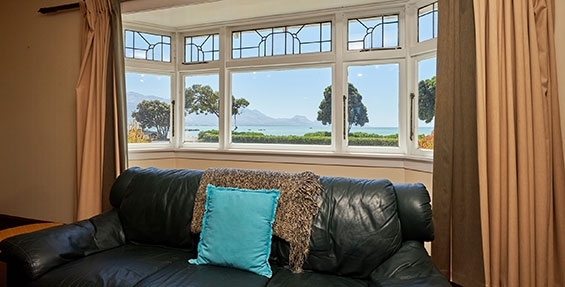 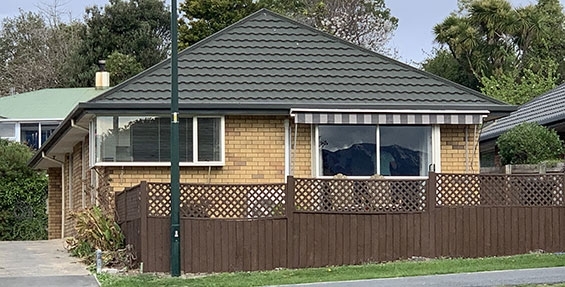 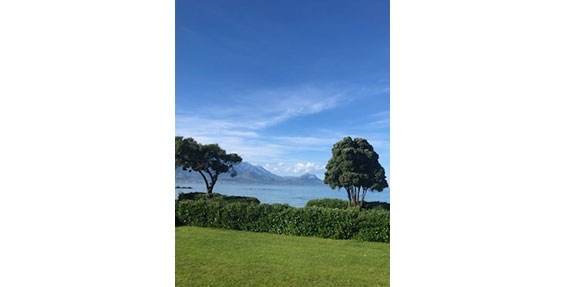 A lovely house right next to the ocean - the perfect place to enjoy the stunning views of the Kaikoura coast but close enough to a fabulous restaurant and pub. 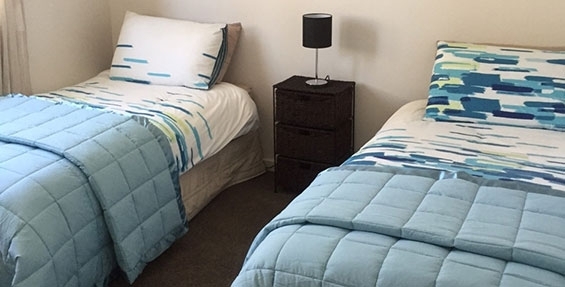 Perfect for couples or small families.